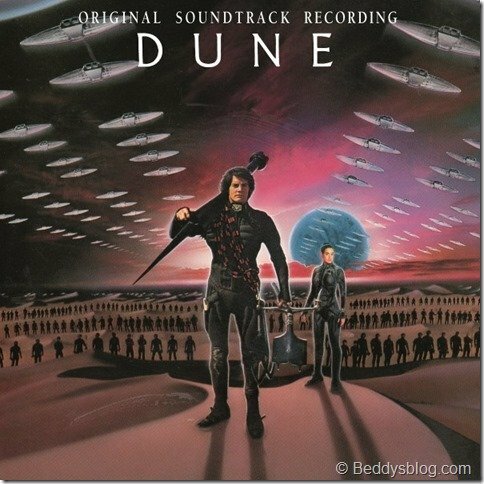 This is a extremely stirring piece of music I’d like to share from the 1984 film Dune, written and performed by Toto with the Vienna Symphony Orchestra and Choir of the Vienna Volksoper. 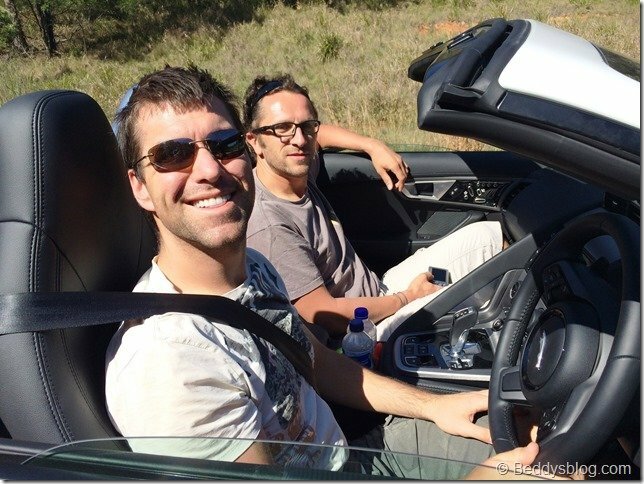 My 36th birthday today! 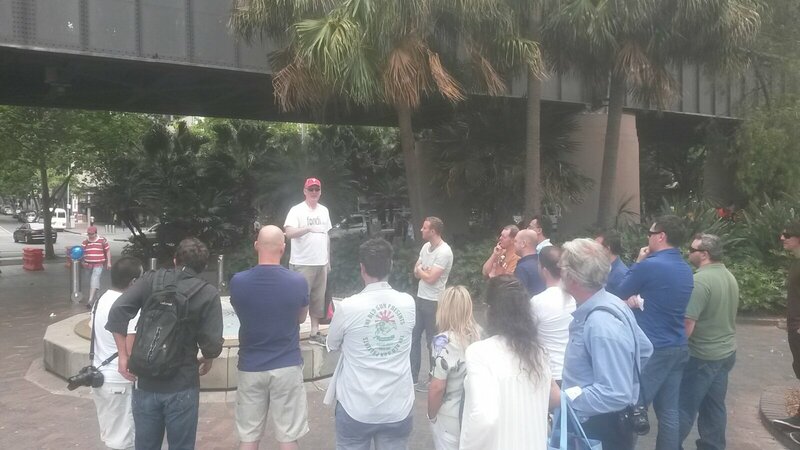 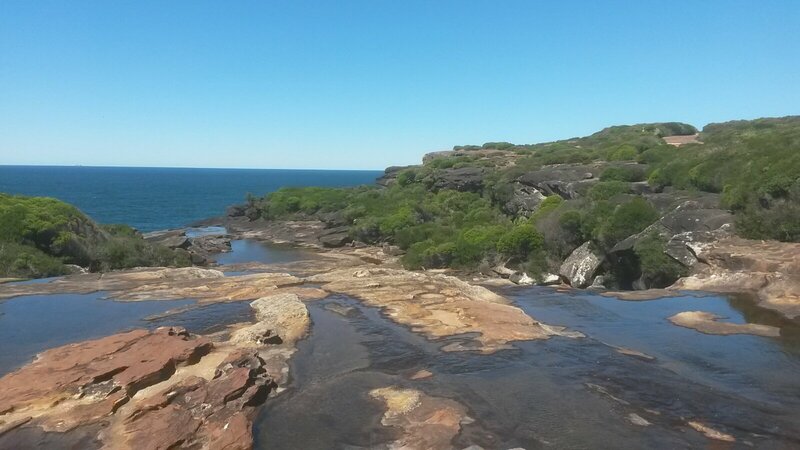 I booked a beer tour around the old Rocks. 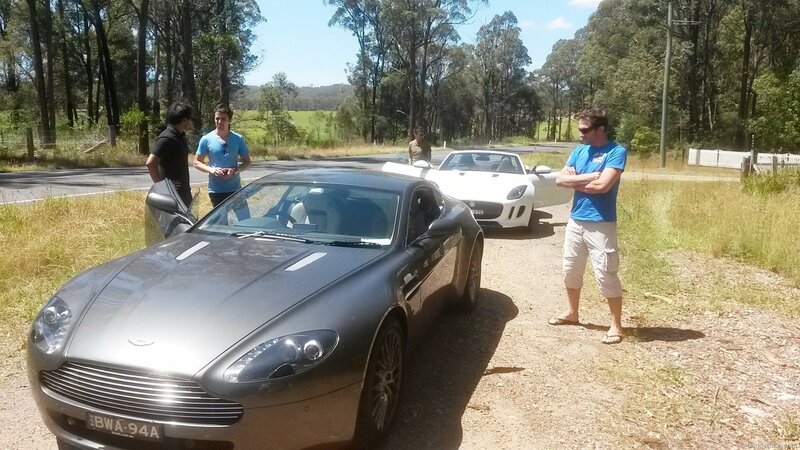 Jay, Damien, Troy and Steve, thanks for coming guys. 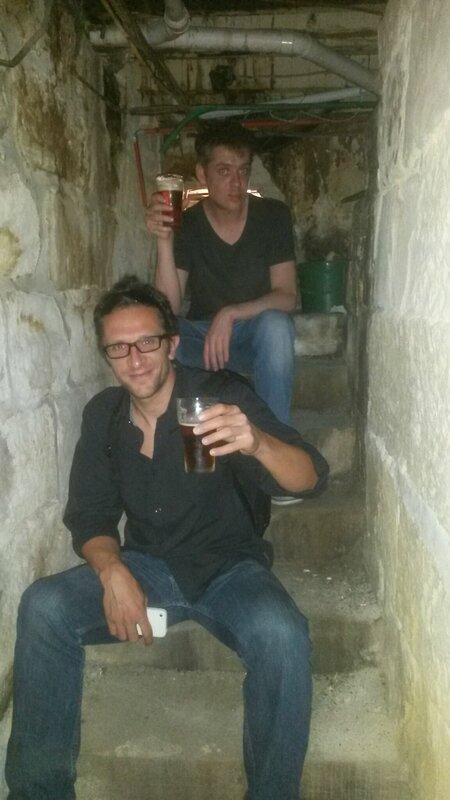 This is in the basement under the Hero of Waterloo pub where an old tunnel went under the streets to the harbour, it is now filled in at the start. 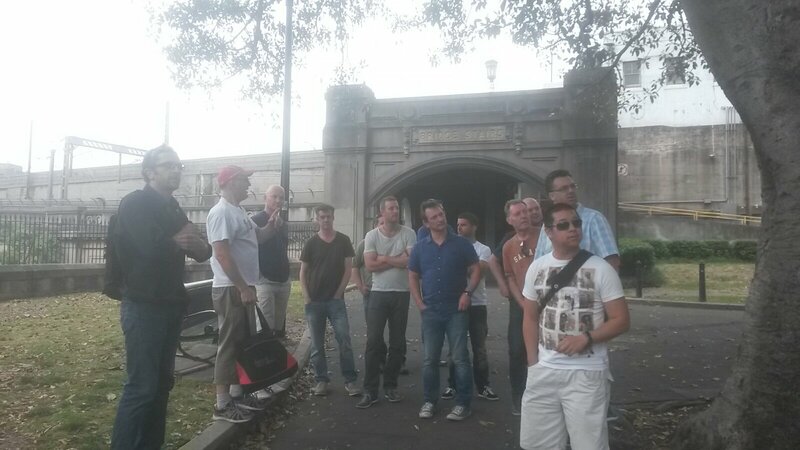 The story is drunken sailors were pushed down the tunnel and woke up at sea on a boat and were put to work. 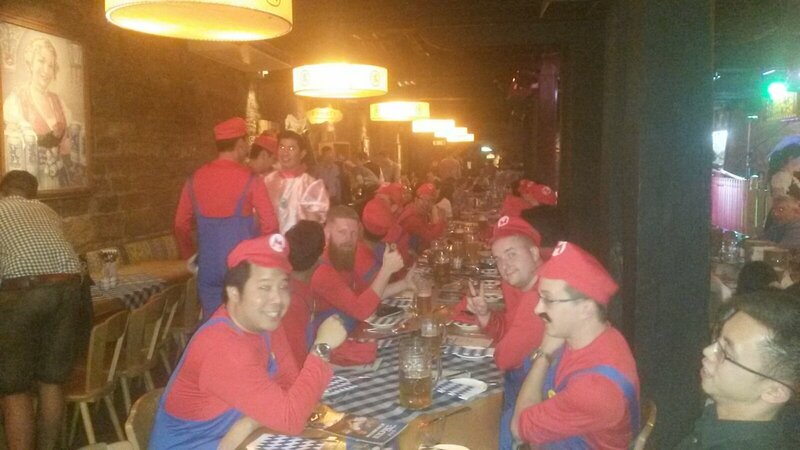 A Mario party in the German lowenbrau. 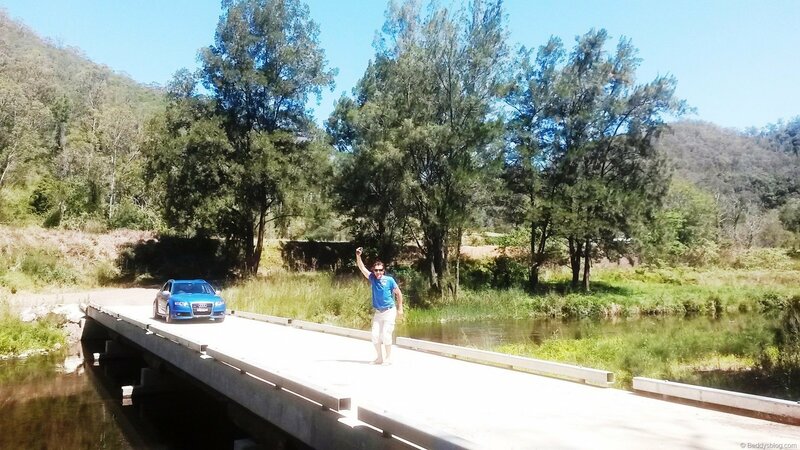 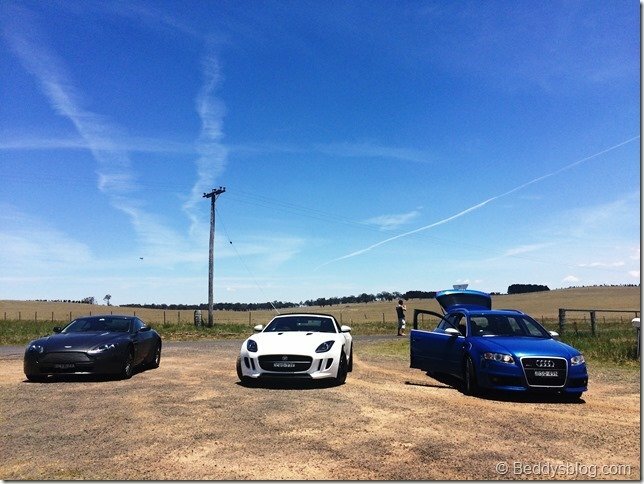 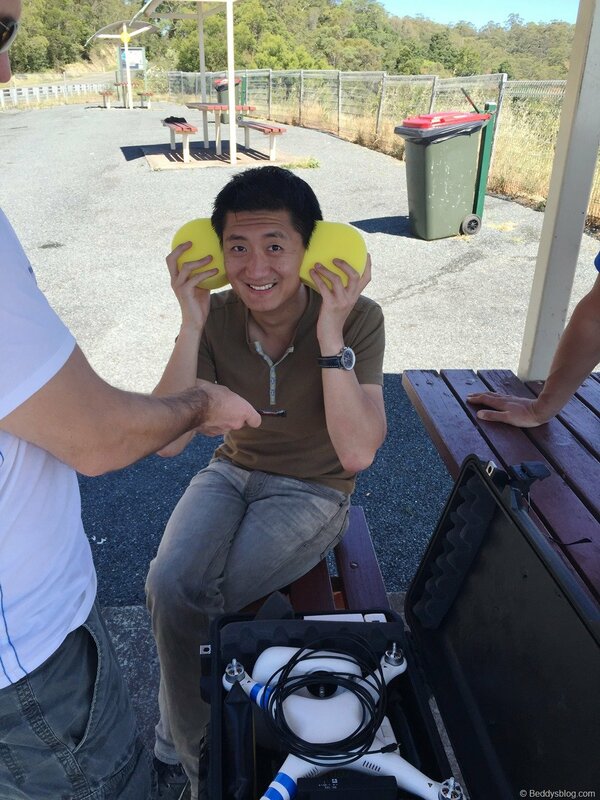 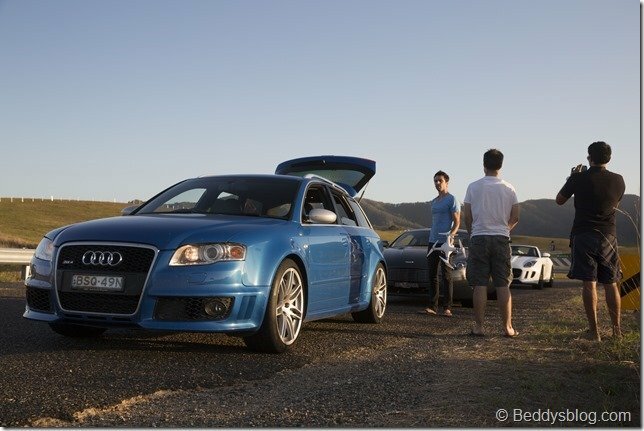 We just got back from a 2 day roadtrip I organised. 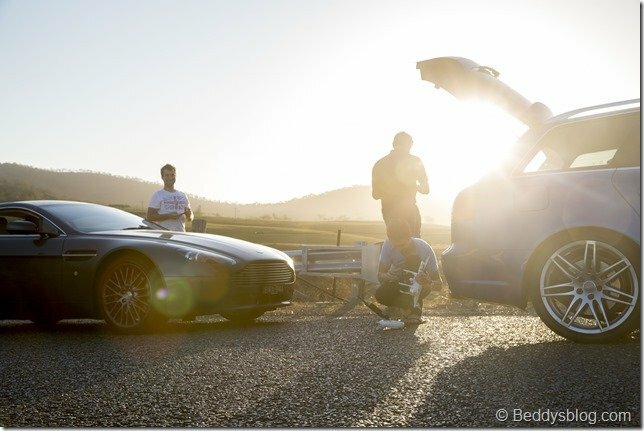 Day 1 was along the Thunderbolts way which is meant to be one of the best driving roads in NSW, the the road from Gloucester to Walcha. 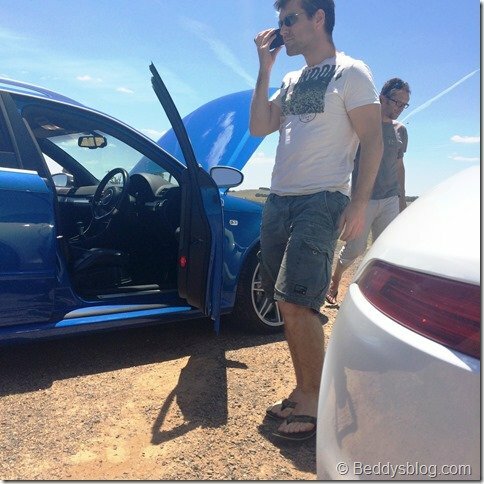 It wasn’t as great as we’ve read we thought, not as twisty as hoped. 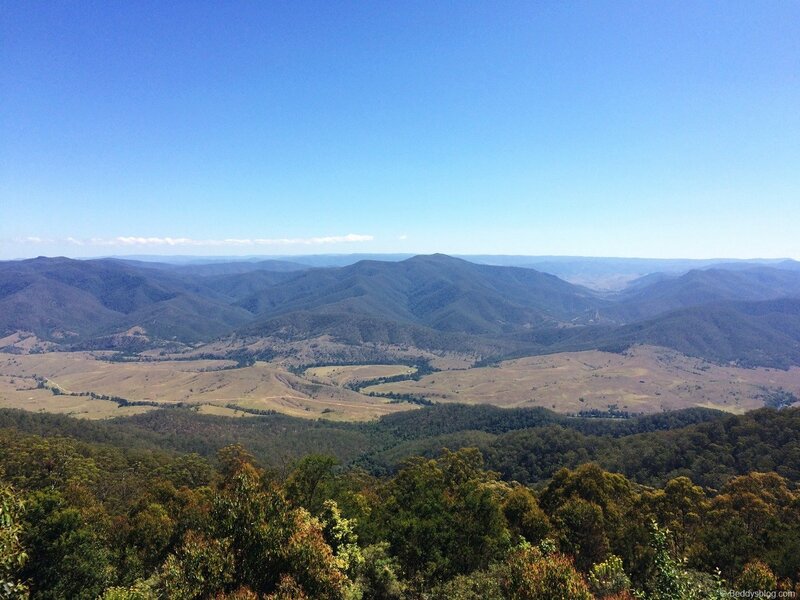 But the lookout at the top midway was a great excuse for some Brendon drone action and the views were amazing. 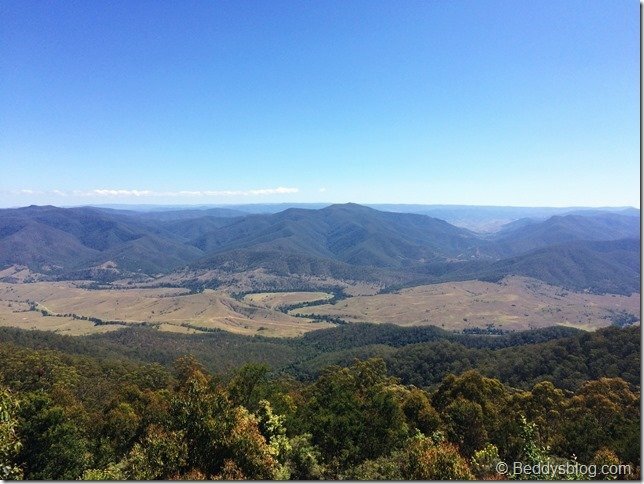 Quick bit of history, Thunderbolts way was named after captain Thunderbolt the bush ranger who was famous for having a long career of stealing horses though this region. 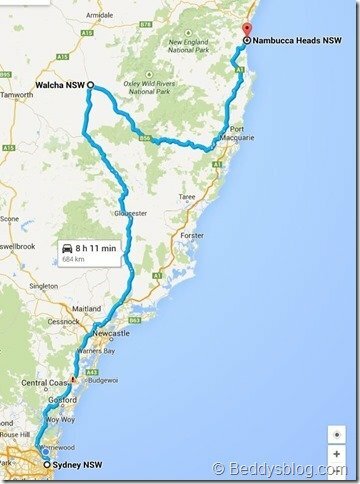 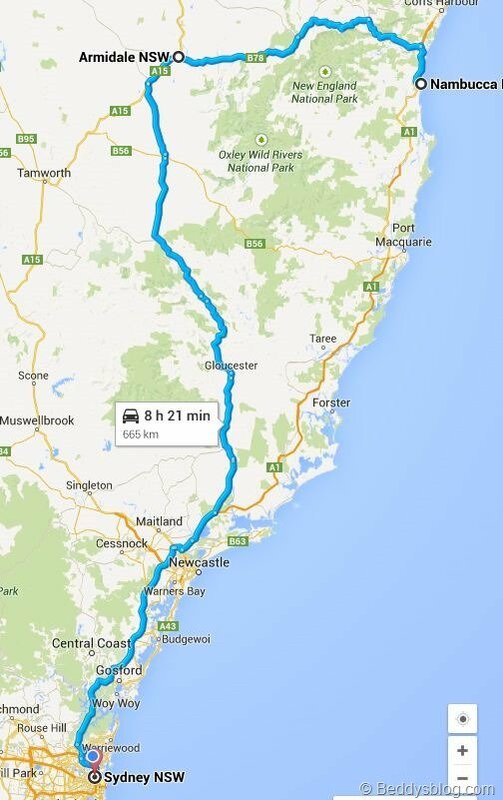 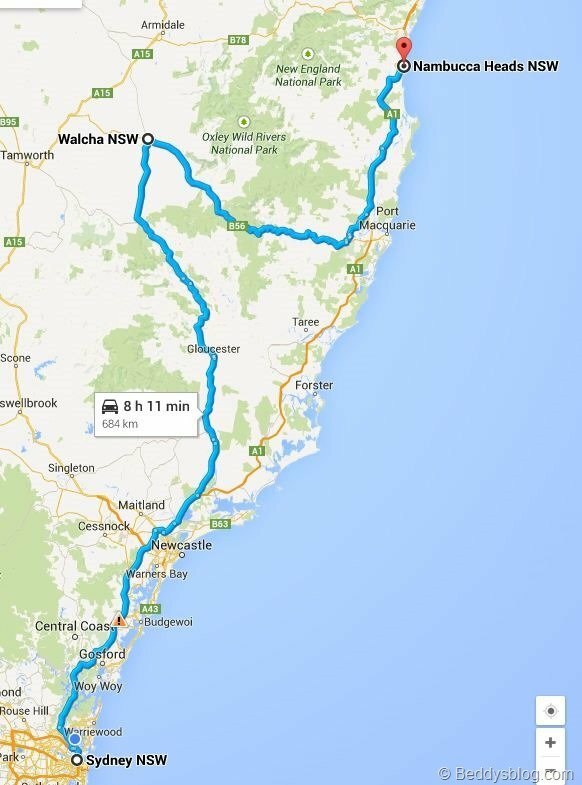 The road from Walcha to Port Macquarie the ‘Oxley Falls road’ was the best of the trip! 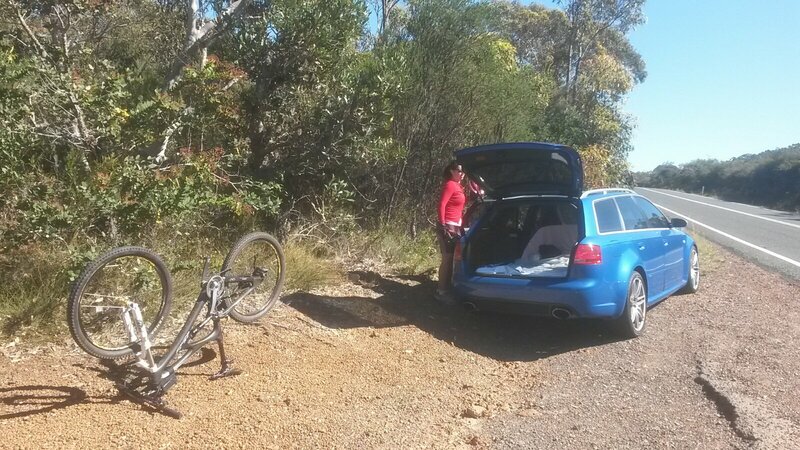 Very twisty, tight 2nd gear turns and all through beautiful forest. 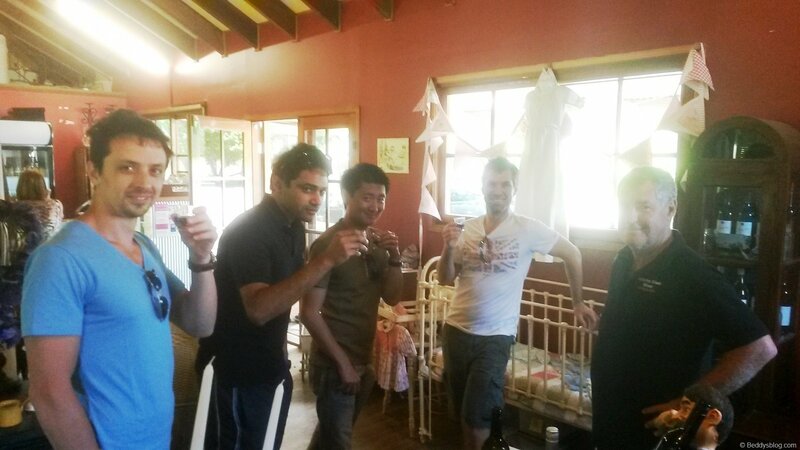 Some wine tasting and I bought wine for you for Christmas dad. 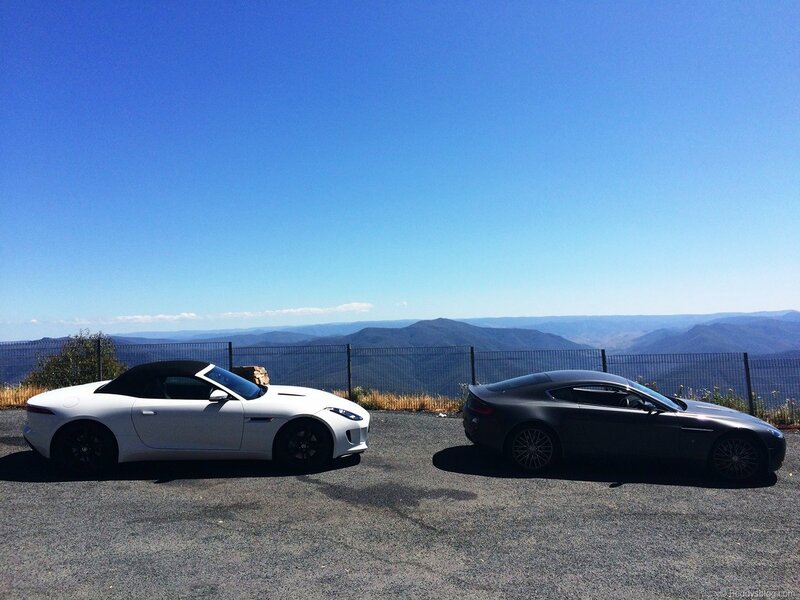 The lookout at the top of Thunderbolts way. 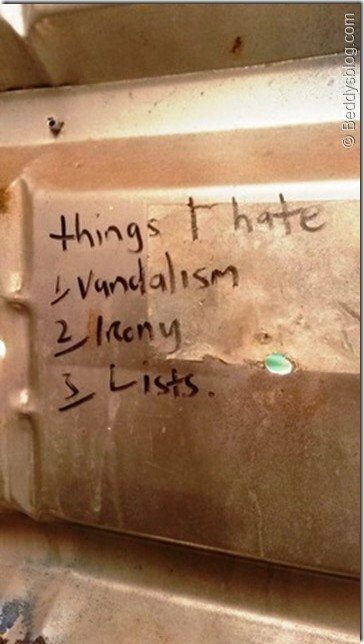 This was scribbled inside the public toilet at the the lookout. 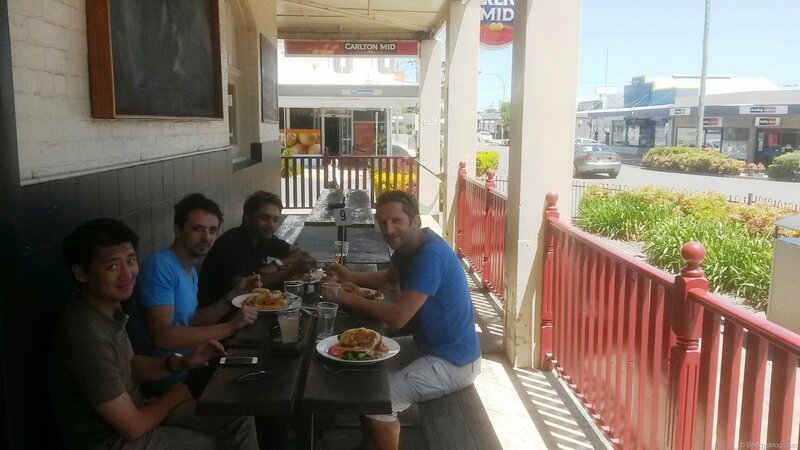 Lunch at the pub in Walcha. My car being the only one with a real boot was the mule to carry everything. 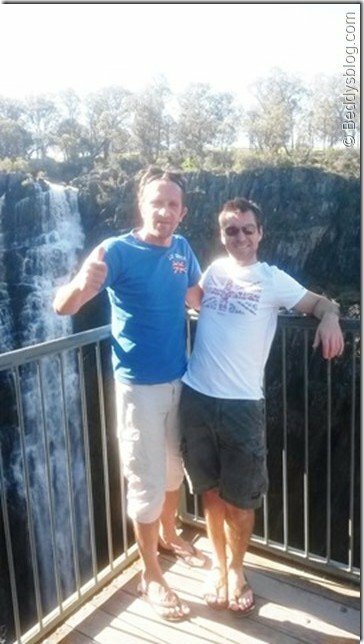 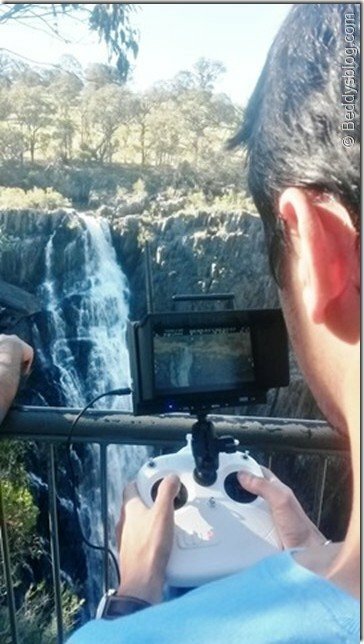 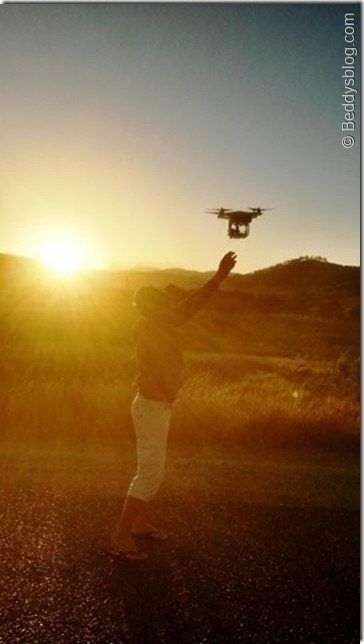 Brendon flying his drone down the Oxley falls waterfall. 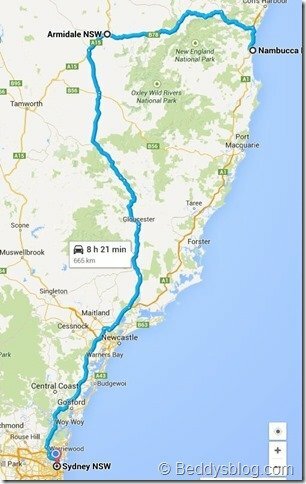 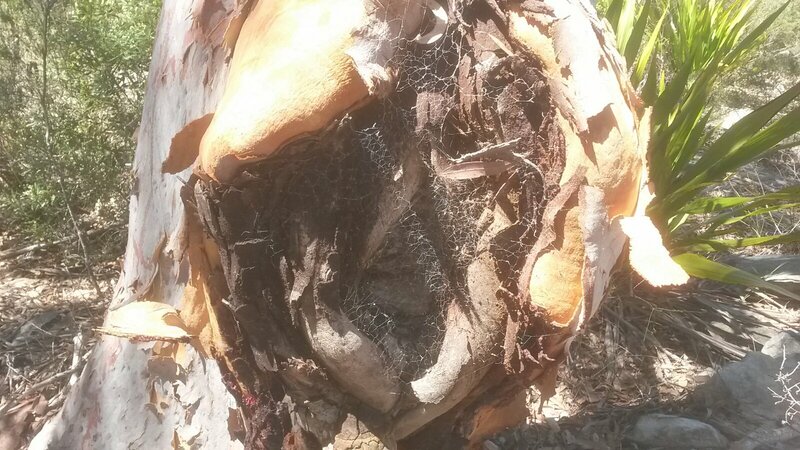 Day 2 was the the return trip taking in the Nambucca to Armidale road which is meant to be excellent also. 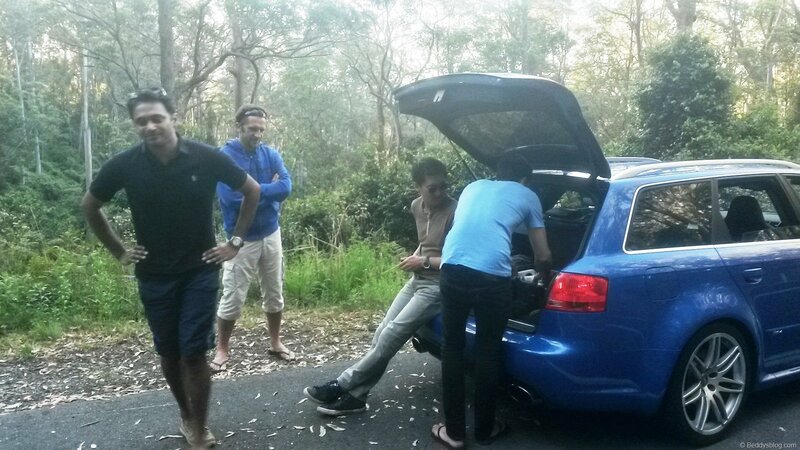 It wasn’t the best driving road but very beautiful with all the blossoming tree’s along the route. 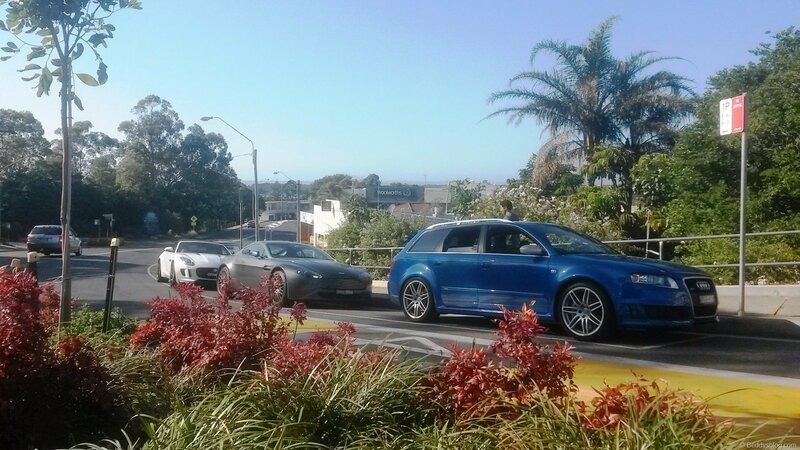 We parked up for a very quick coffee stop and then left town. 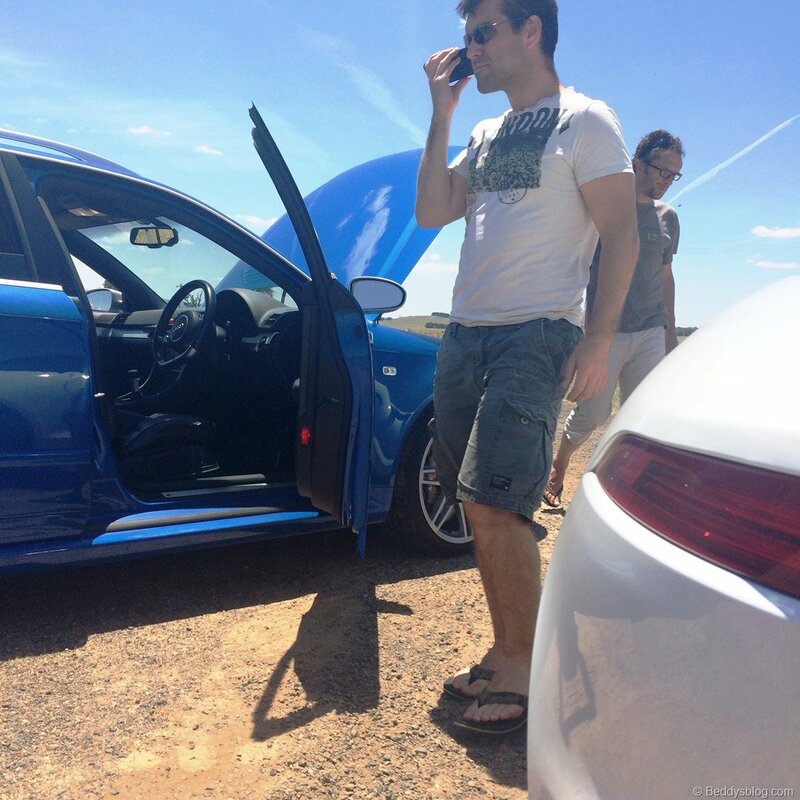 It was hot hot hot here! 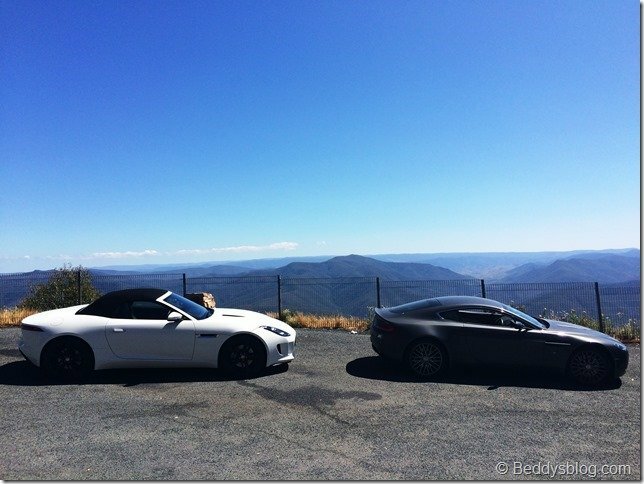 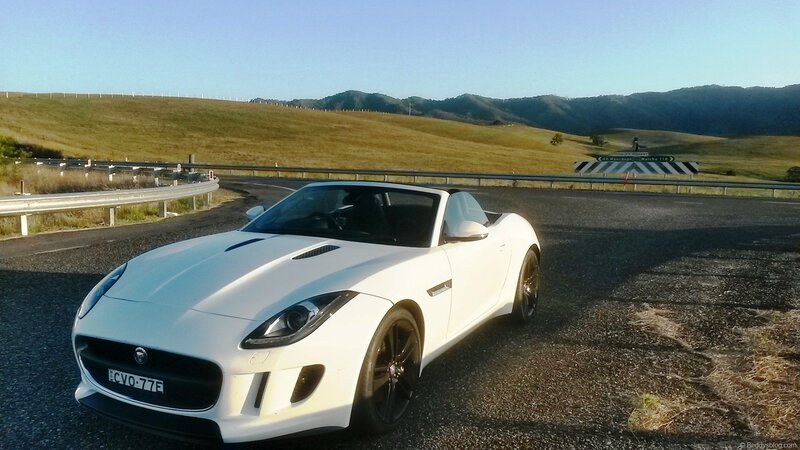 Ones of the stars of the trip, a new Jaguar V6S on loan from Jaguar for the week to Easton. vCloud Air is VMware’s version of Amazons AWS and Microsoft Azure cloud. 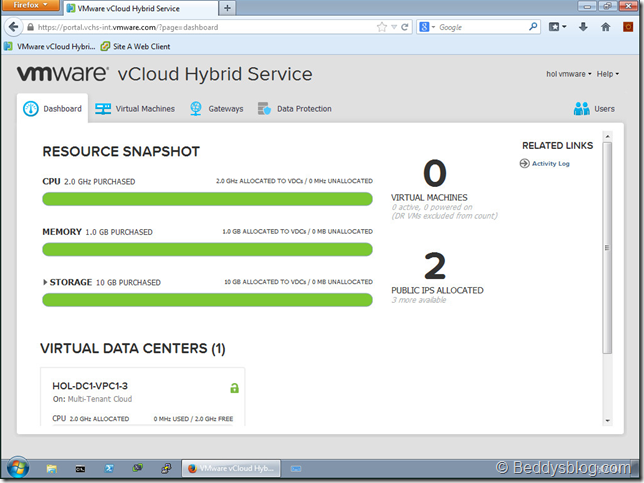 I ran through the online lab “vCloud Air jumpstart for vSphere Admin’s” to learn about their competitor to AWS and Azure, these are my findings. 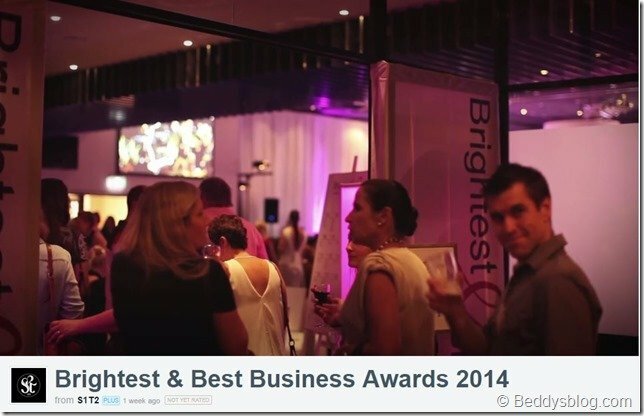 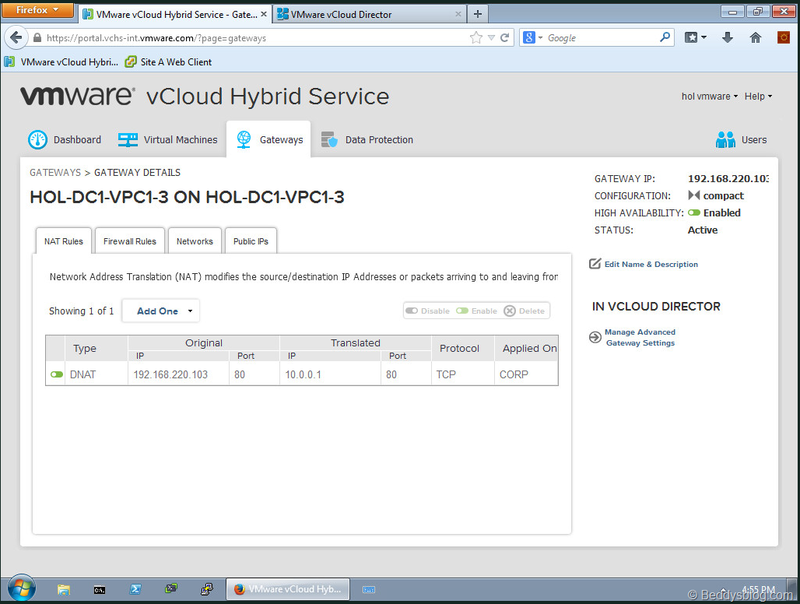 VCloud Air is hosted from multiple datacentres across multiple countries around the world and will be available through a local datacentre in Melbourne operated by Telstra, opening in the first quarter of 2015. 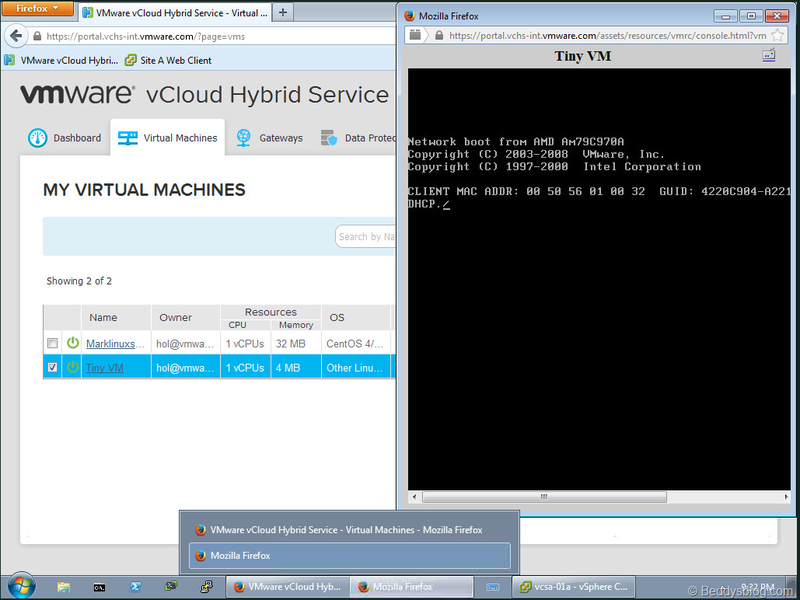 Please note this isn’t meant to be a step by step installation run through, more a demo of actually using vCloud air and how to create VM’s, run them, and move your local VM’s into the cloud. 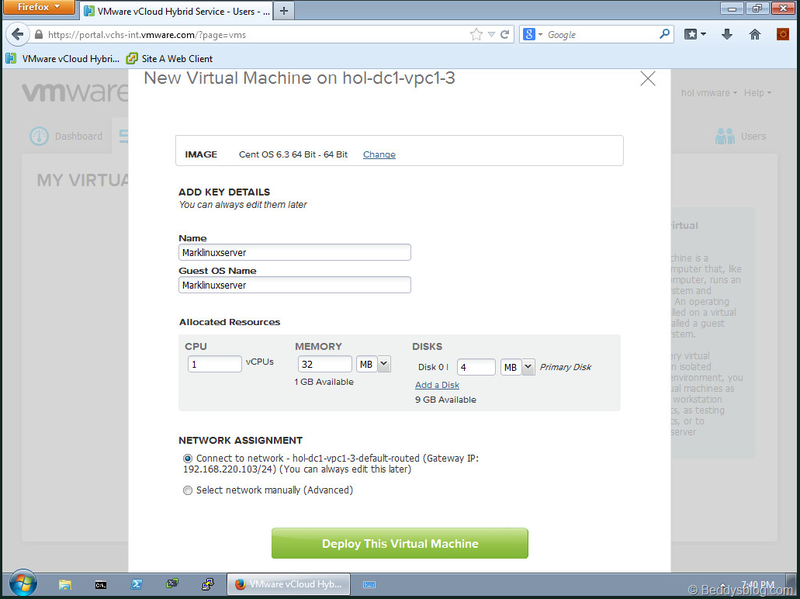 If you have any virtualisation experience you should be pretty comfortable reading and understanding all this. Basically in vCloud air unlike AWS and Azure you, you purchase compute (CPU, Memory and storage) and carve it up into whatever VM’s you like, just like you do in your own private vSphere infrastructure. If you run out of any resource, you just purchase some more. 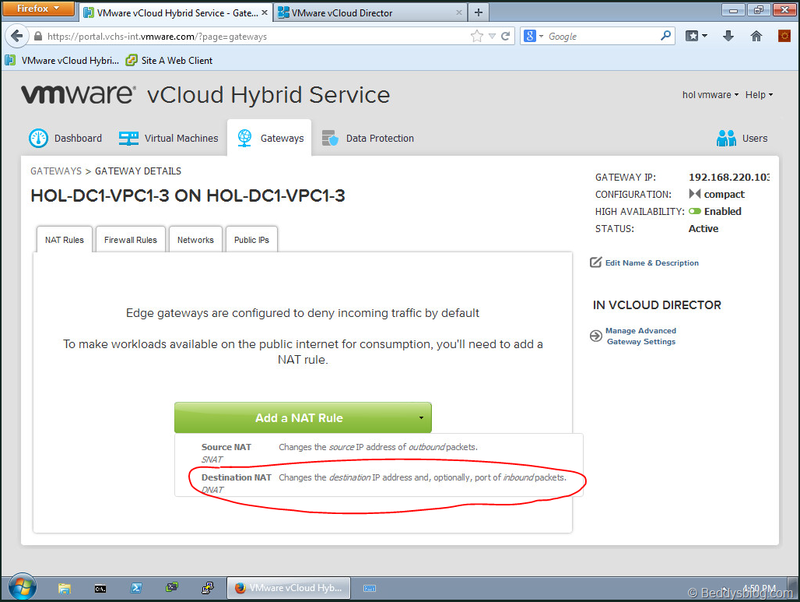 There are 2 vCloud air offerings ‘Dedicated cloud’ and ‘Virtual private cloud’. 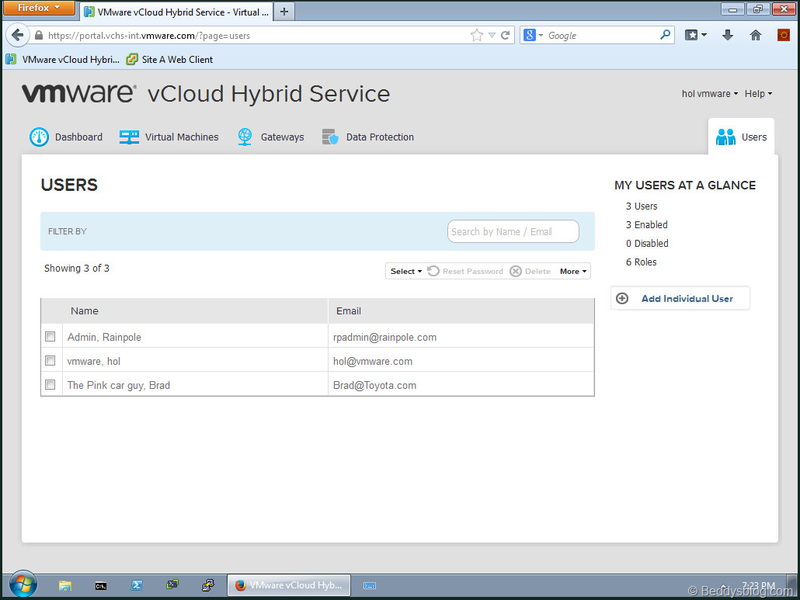 Users view – list of the users that have permission to access this vDC, you can see my colleague Brad the Pink car guy has access! 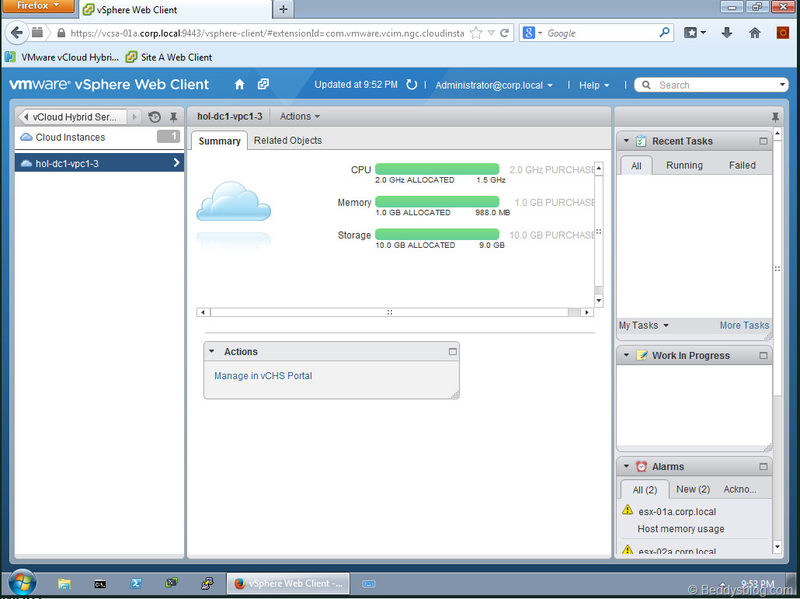 or ones you upload from your own vSphere infrastructure like the companies server SOE’s show up under the ‘My Catalog’ tab. 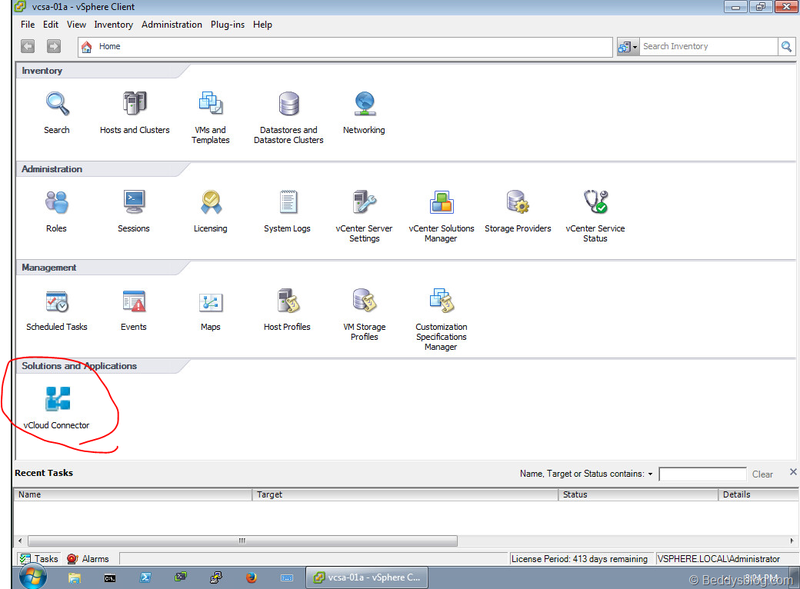 Give your VM a name and assign it resources. 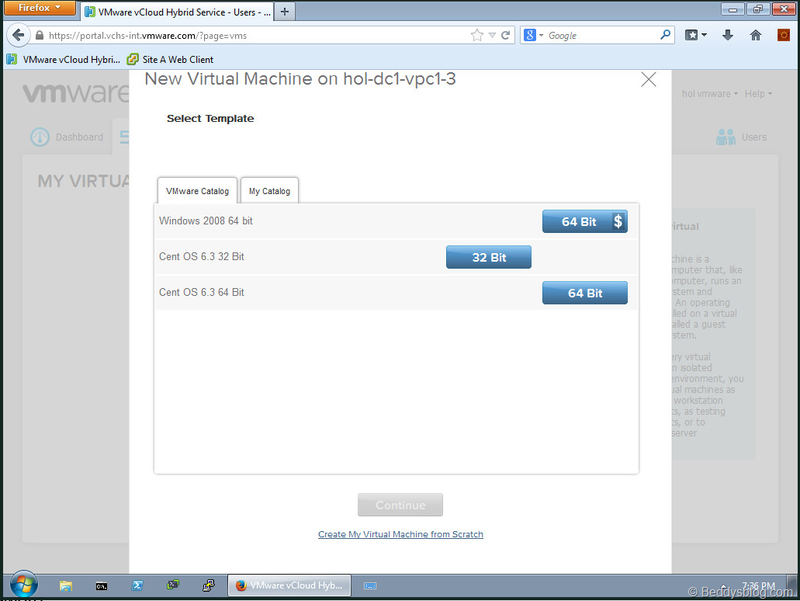 Unlike other public clouds that force you to use a VM of a particular size, vCloud Air allows you to allocate resources to a VM as you wish. 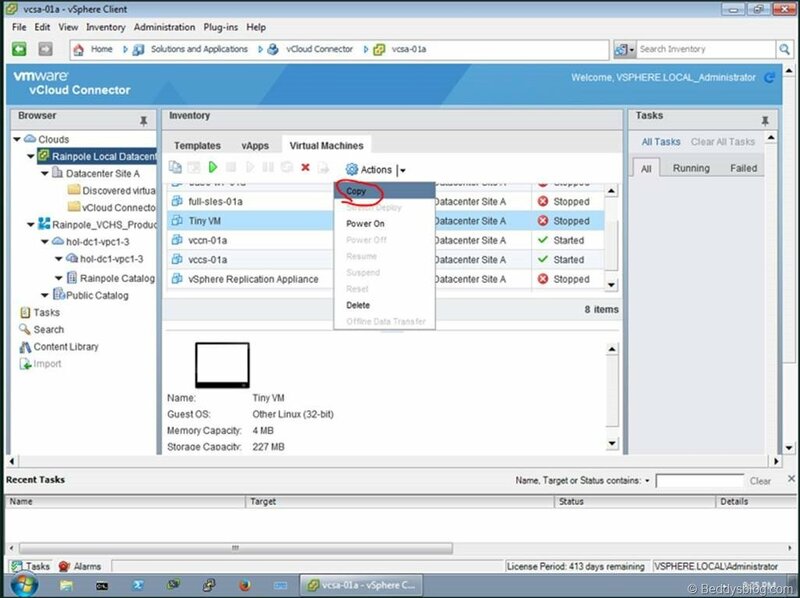 Moreover, if you decide later that you need to increase or decrease the amount of resources assigned to a VM, you can do so without having to destroy it. 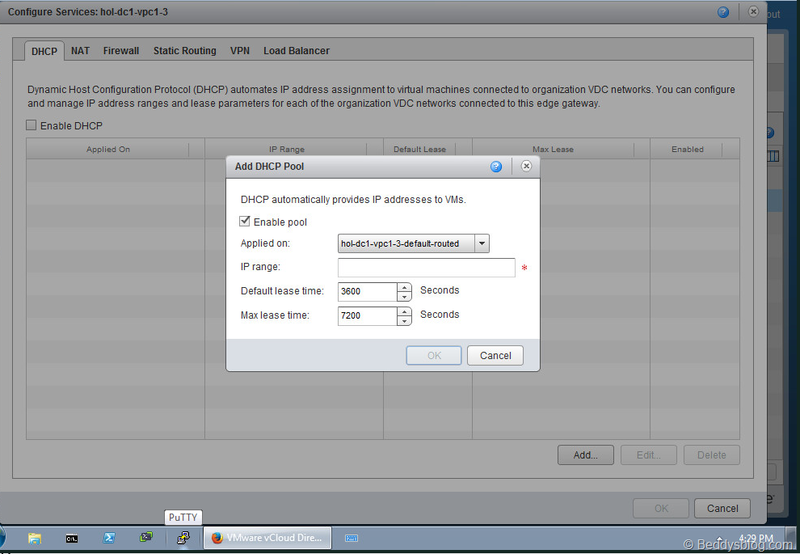 You also have the option of attaching the VM to different network segments during this phase which is useful when specific network and application architectures are required. Provisioning the VM can take between 1-5 minutes in the environment depending on load. 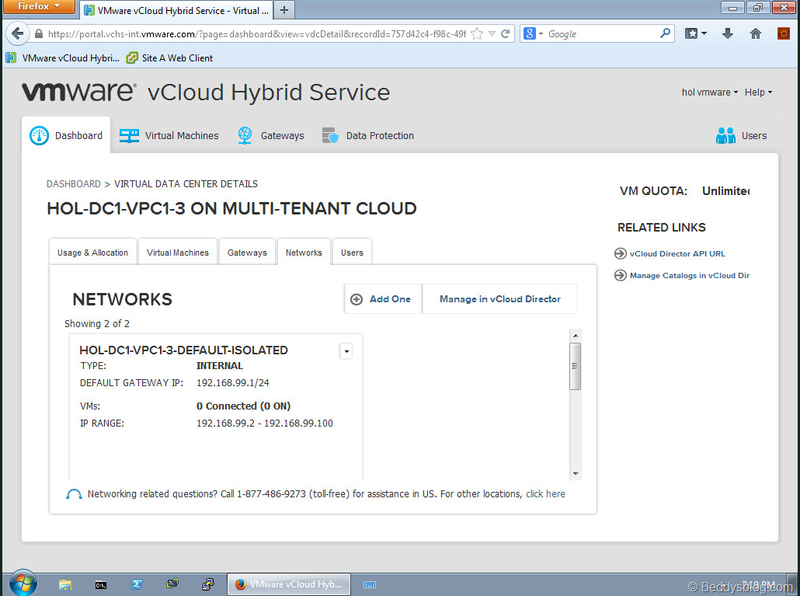 Next add your vCloud air datacentre. 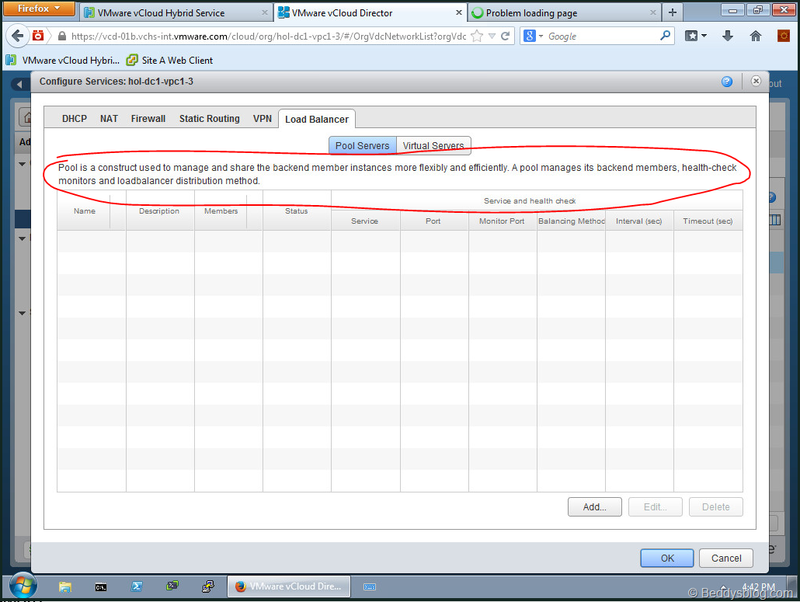 Behind the scenes you have to install a local ‘vCloud Connector Server’ but that’s all. 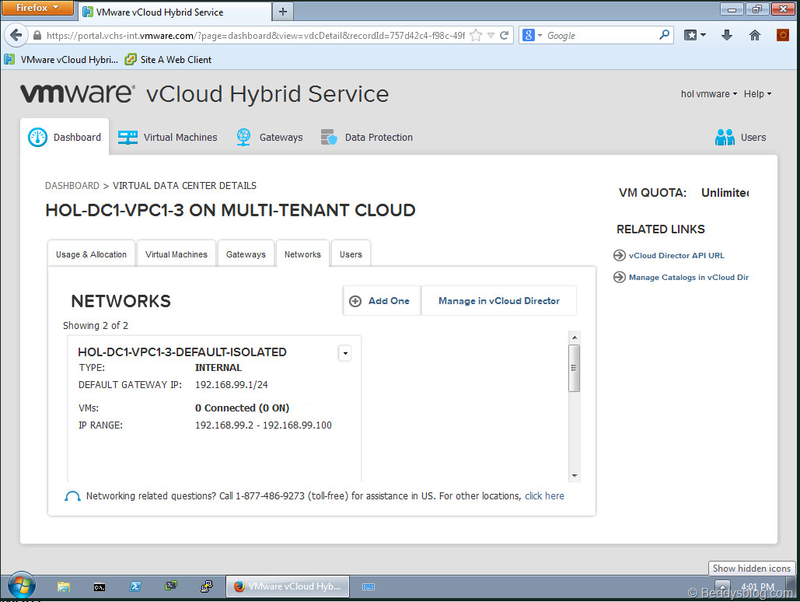 Now we have both private and public VMware clouds! 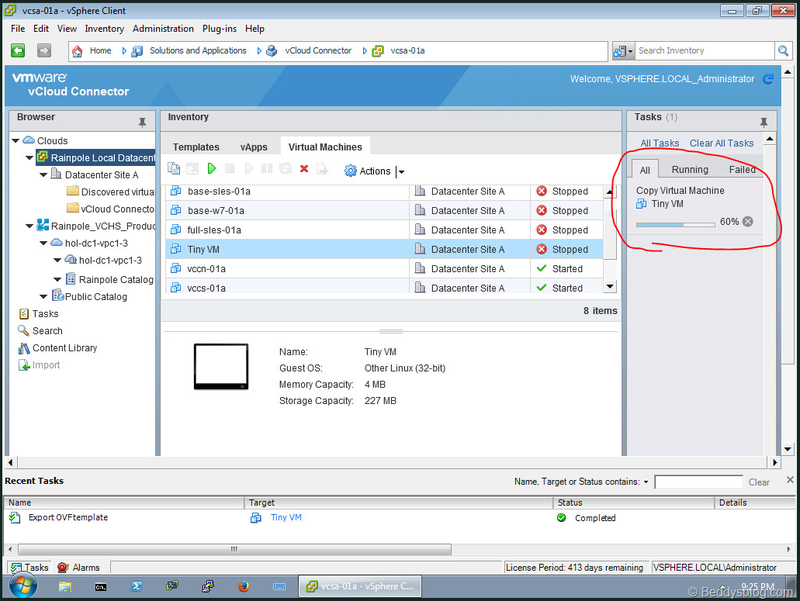 As the copy to the cloud process is copying to the cloud catalog which is basically the cloud VM templates area, we can tick the ‘Deploy vApp after copy’ so it deploys the VM to the cloud not just as a VM template in the catalog. 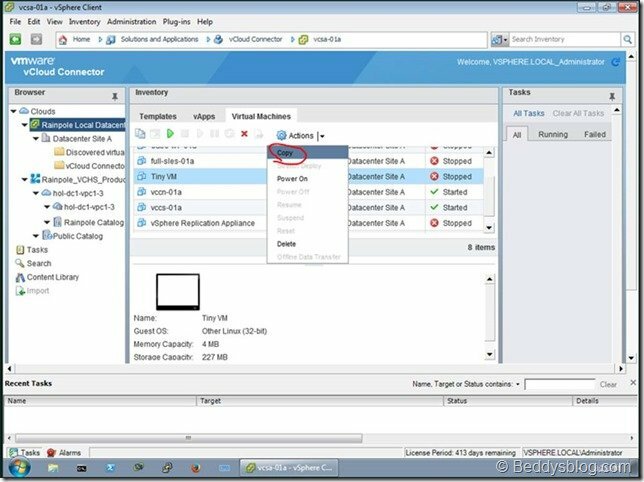 As we are deploying the VM, use the ‘Remove temporary vApp template in destination vCloud catalog’ to clean up the VM template from the catalog after deployment. 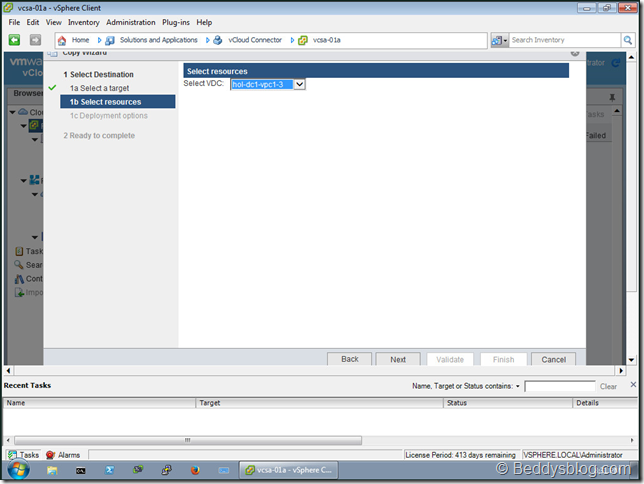 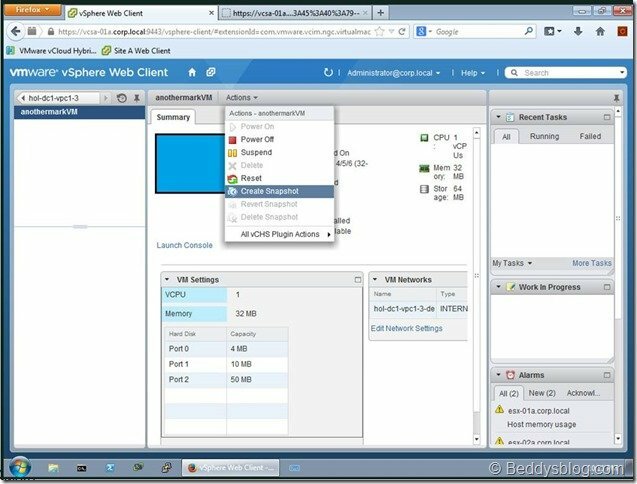 · vCloud Air plugin for vSphere web client – lets you view and manage your Public vCloud Air resources alongside your local Private vSphere infrastructure in the vSphere Web Client. 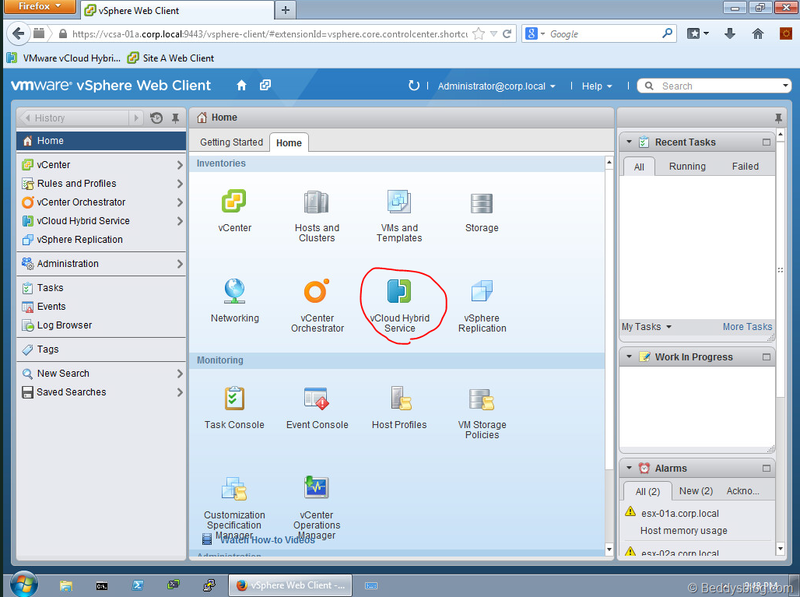 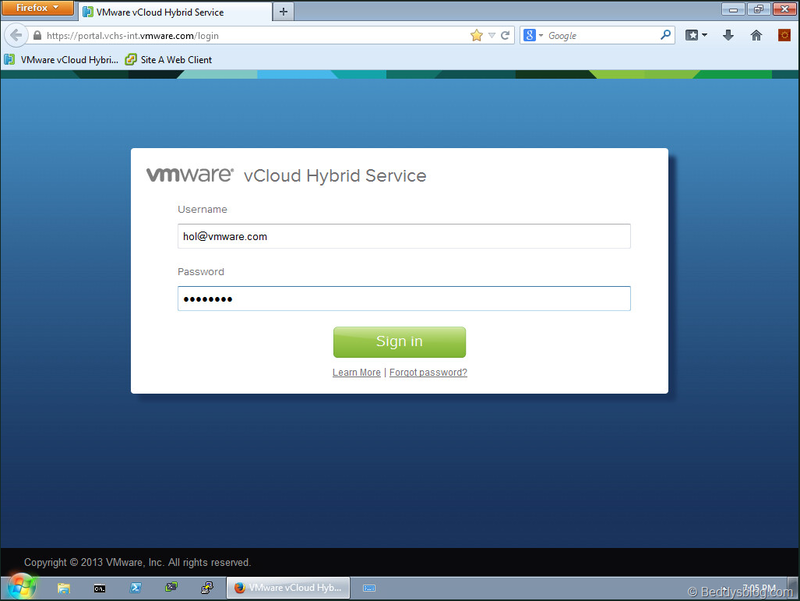 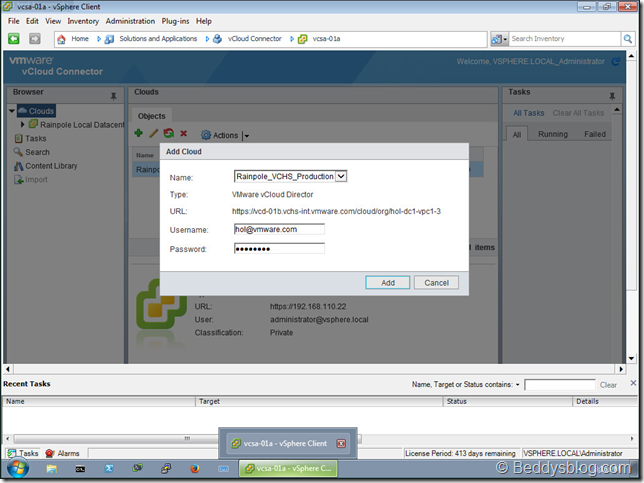 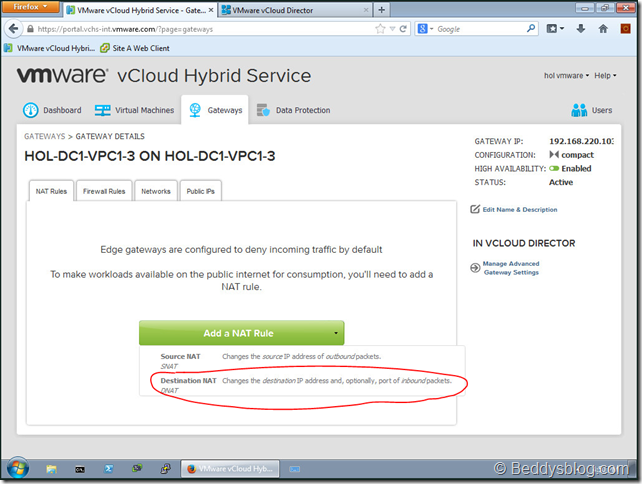 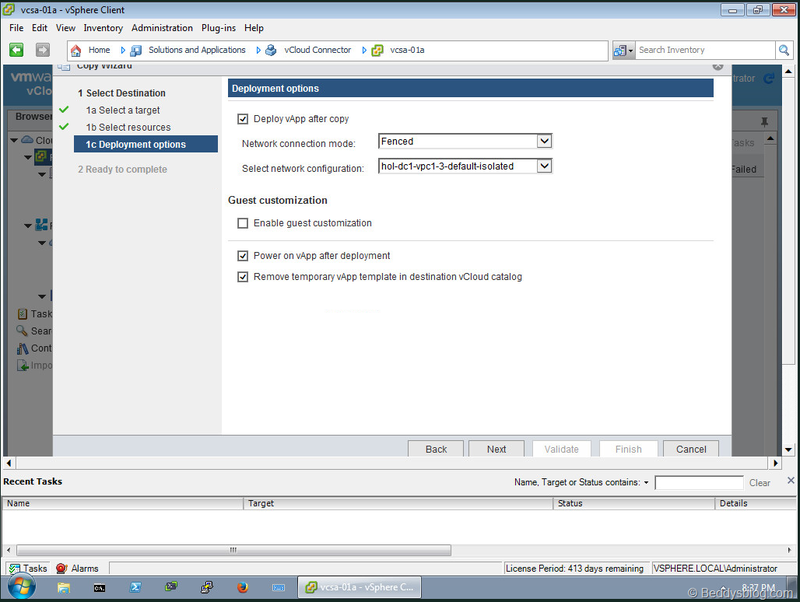 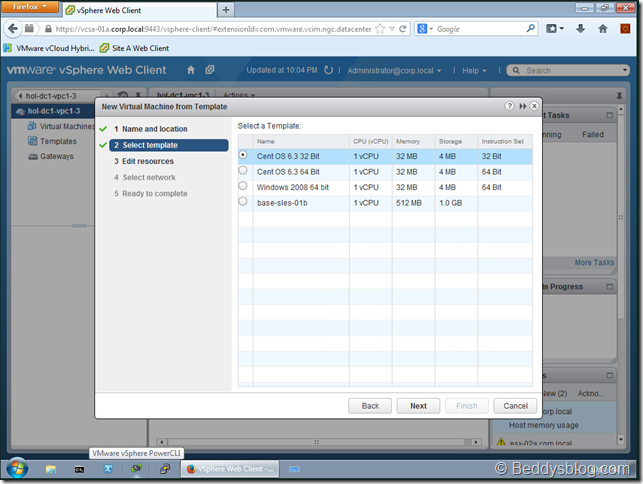 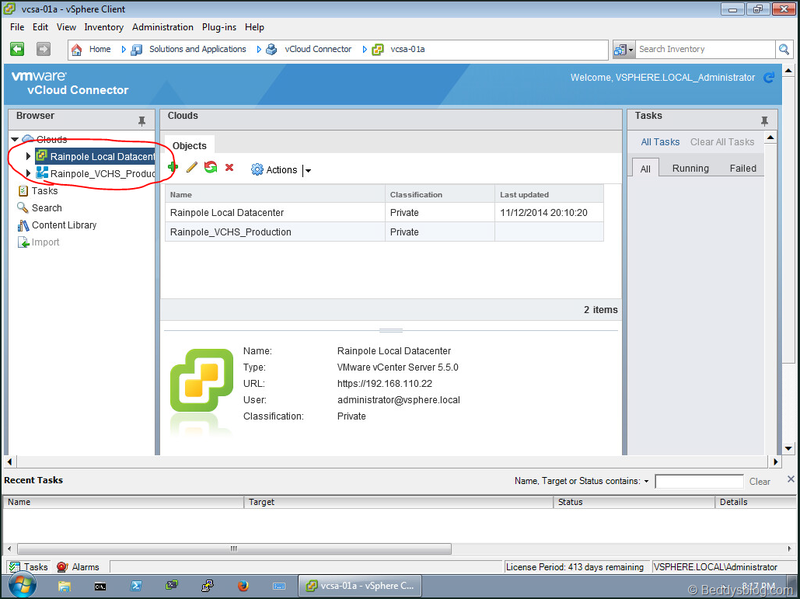 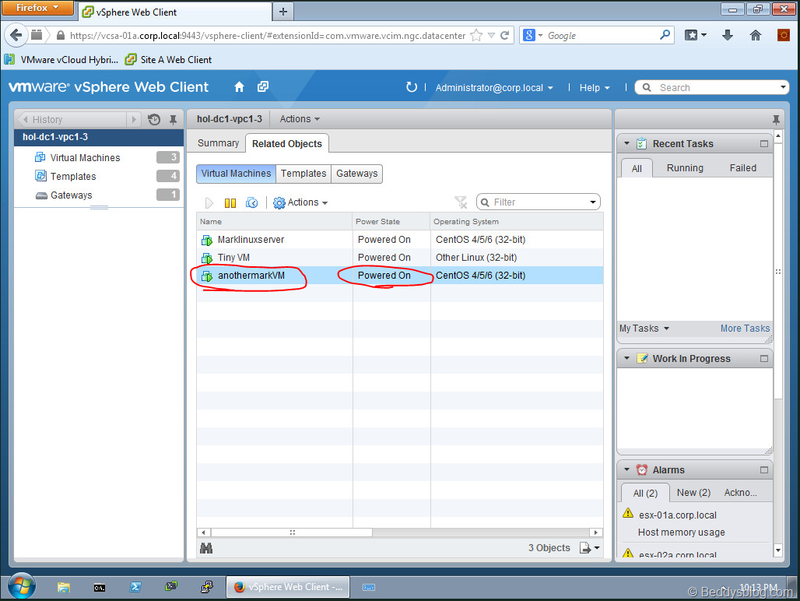 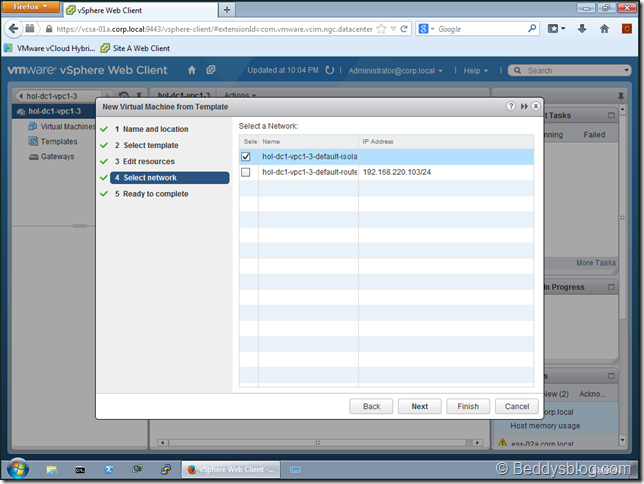 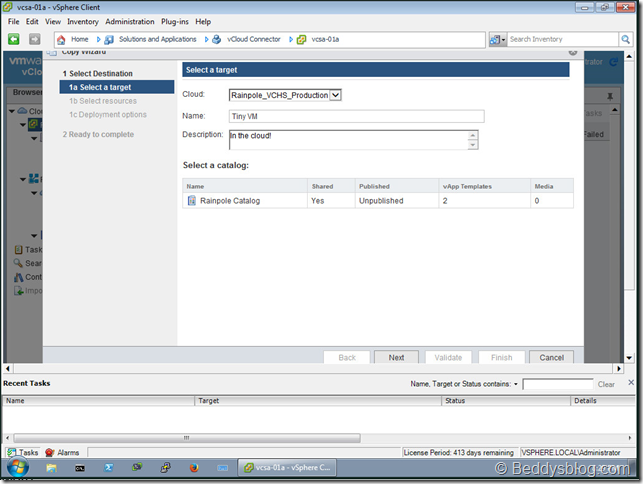 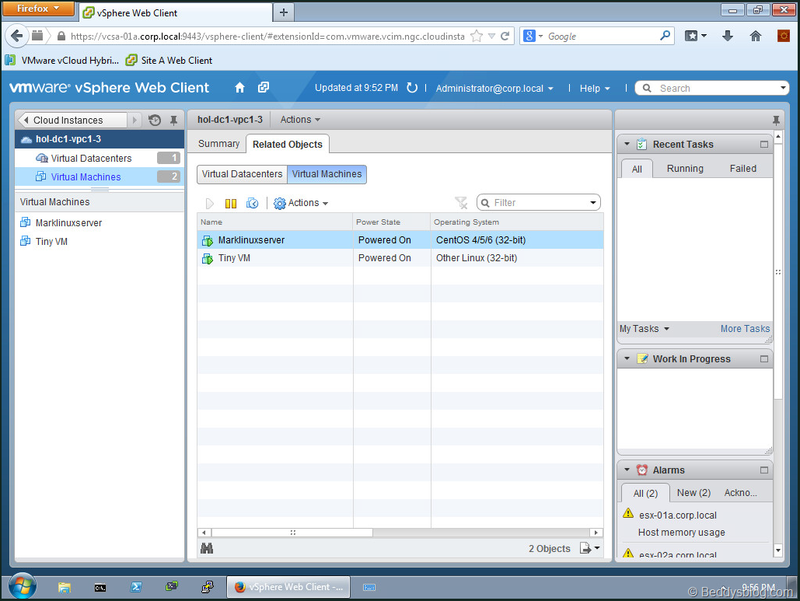 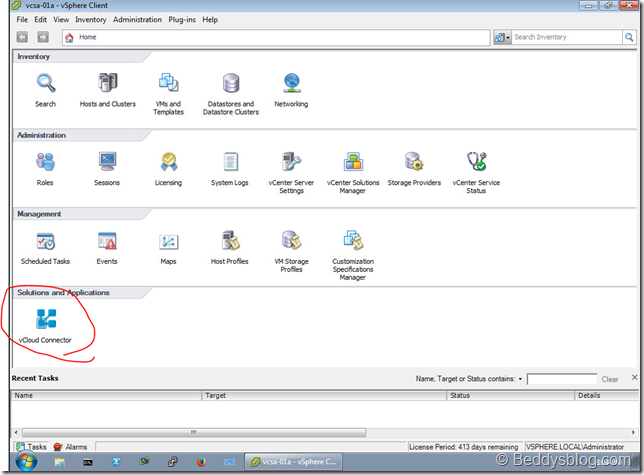 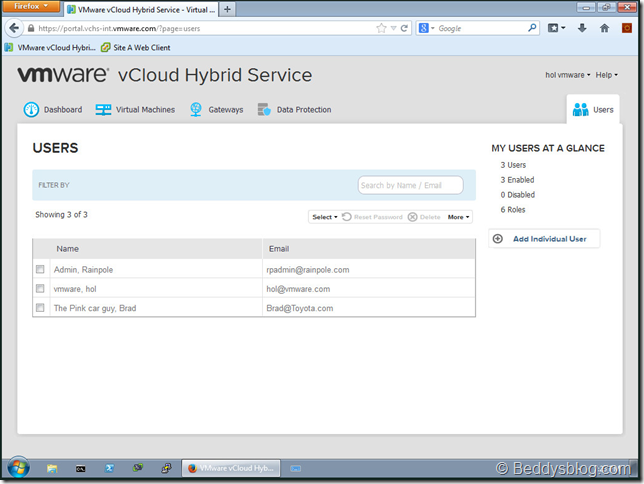 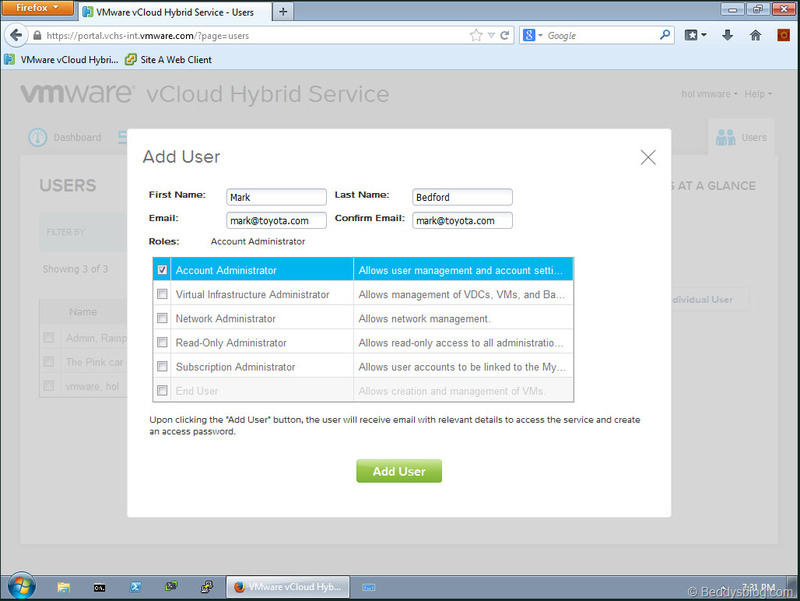 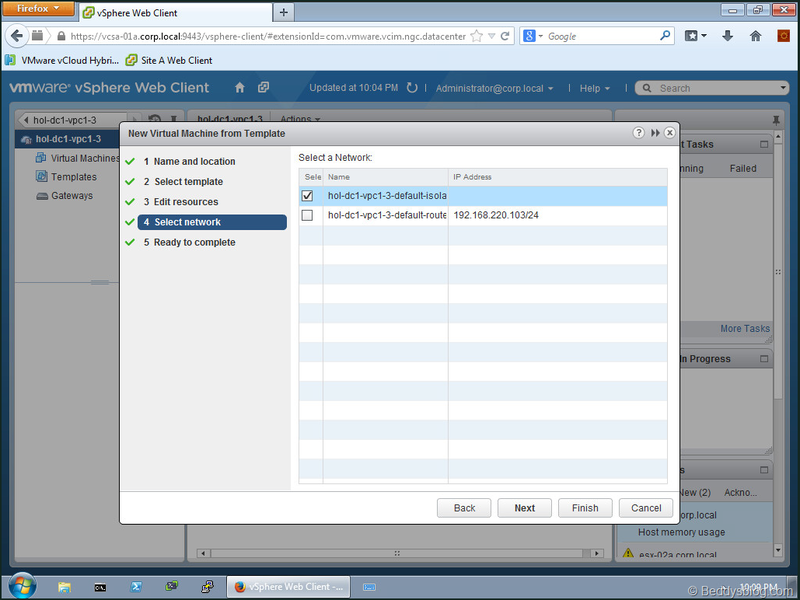 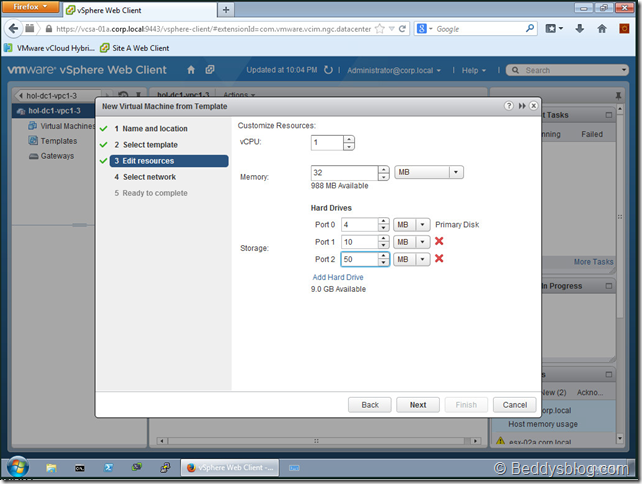 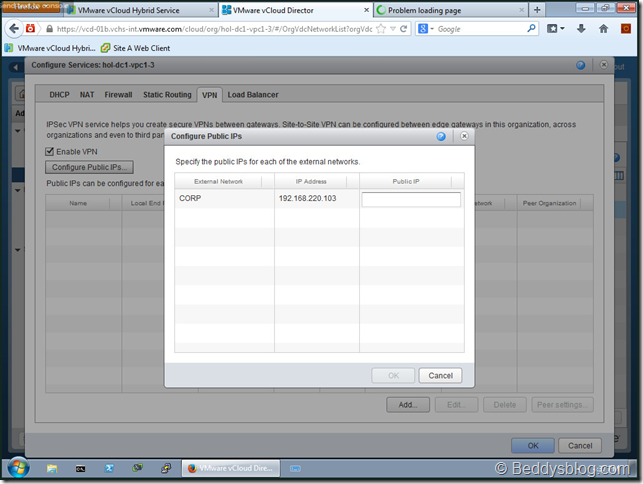 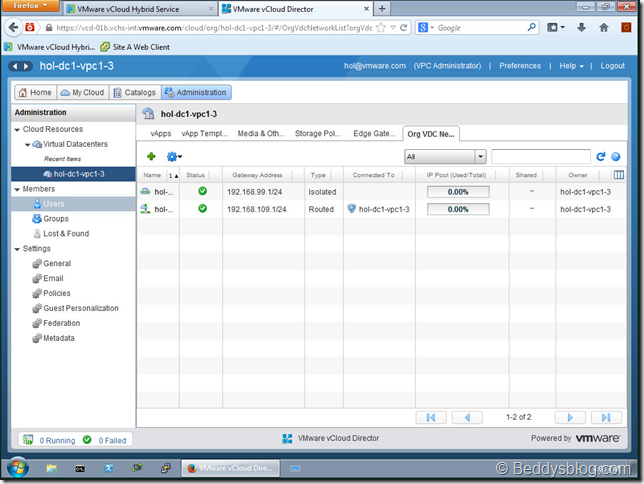 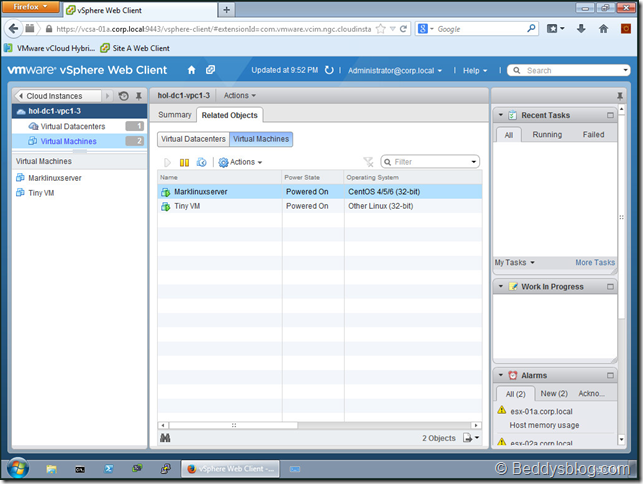 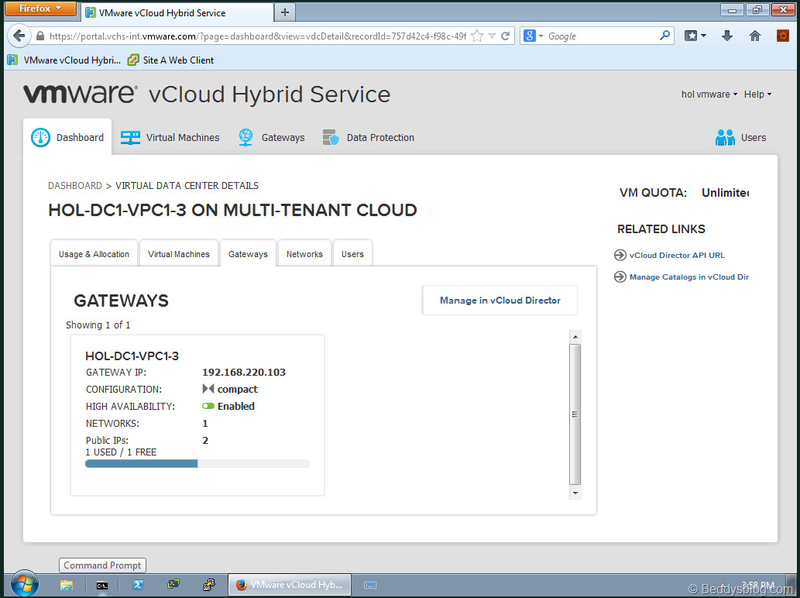 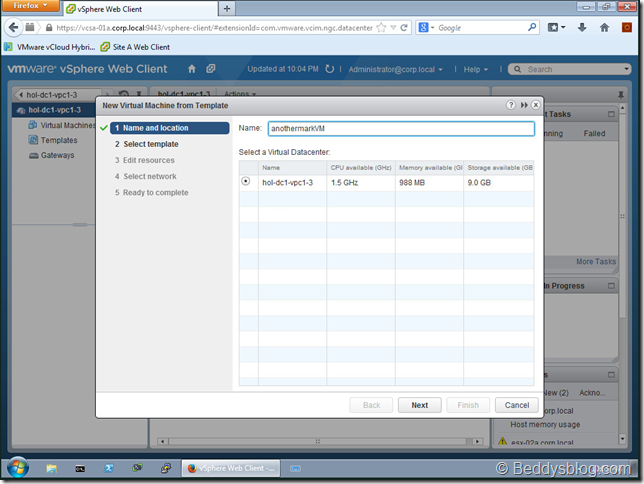 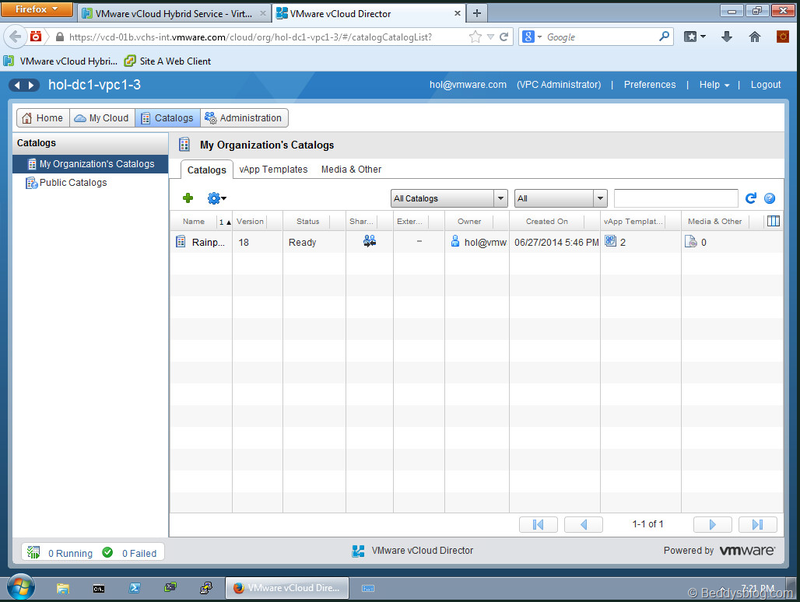 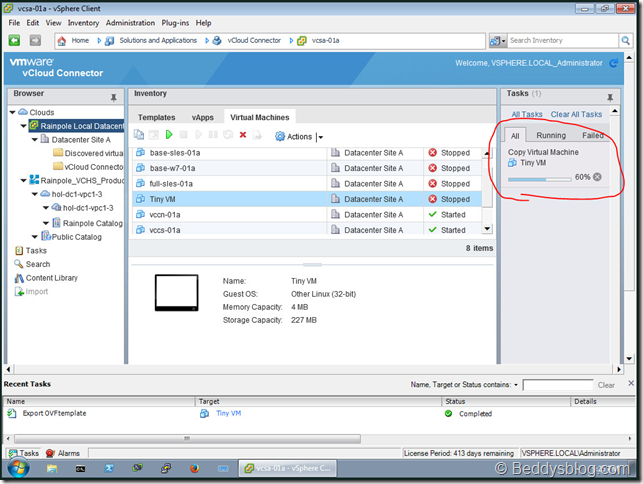 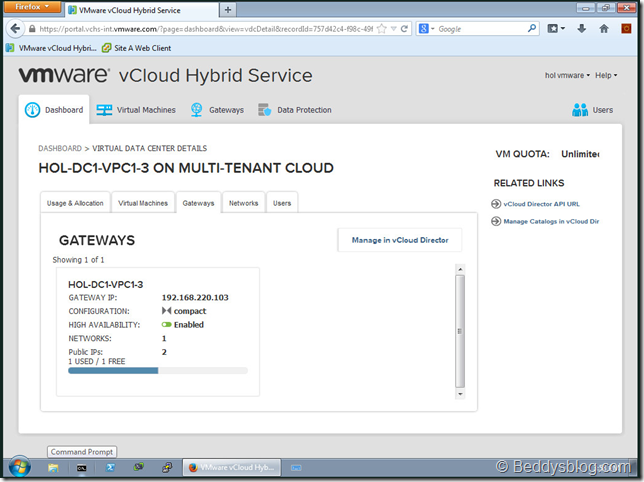 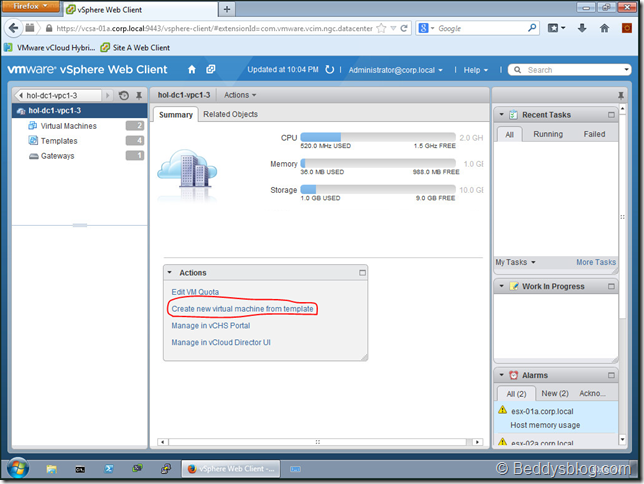 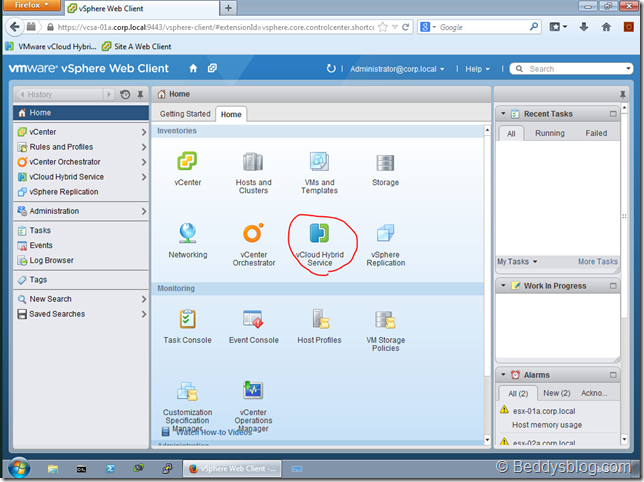 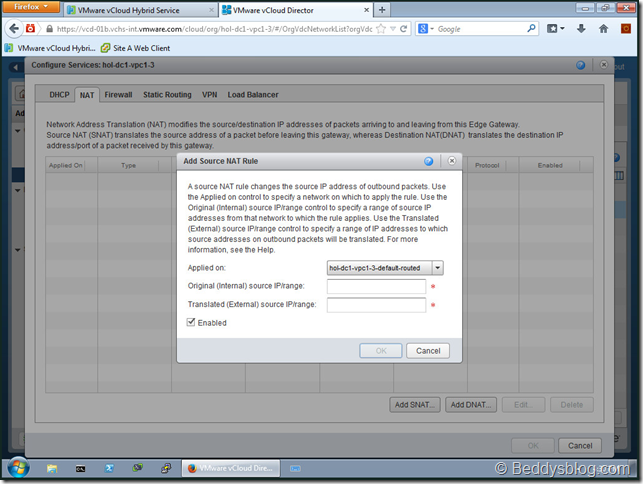 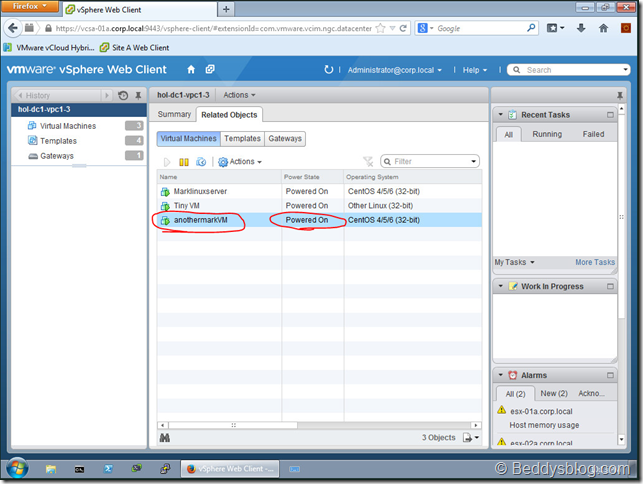 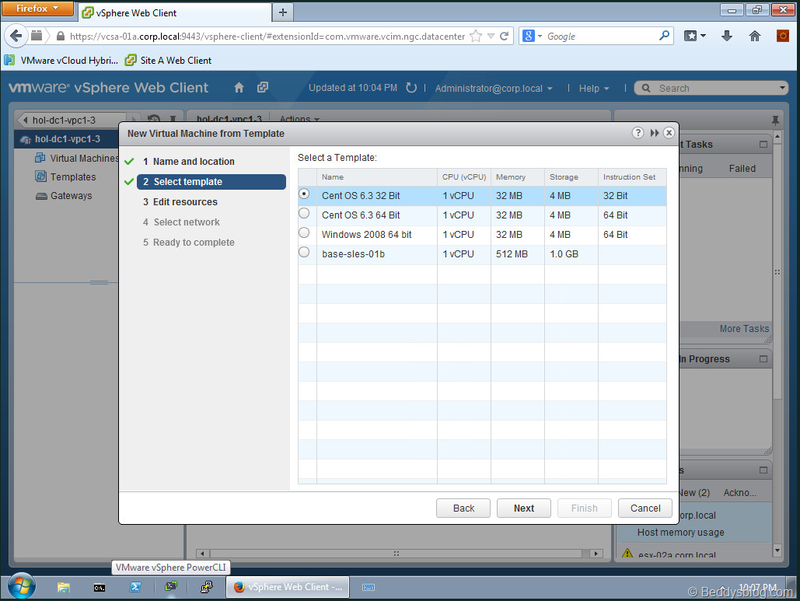 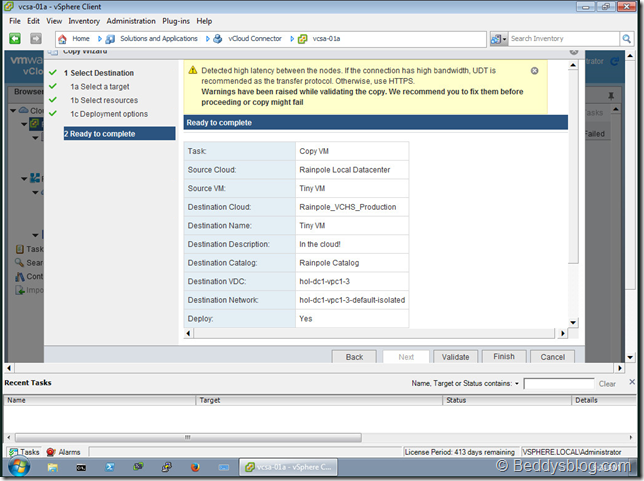 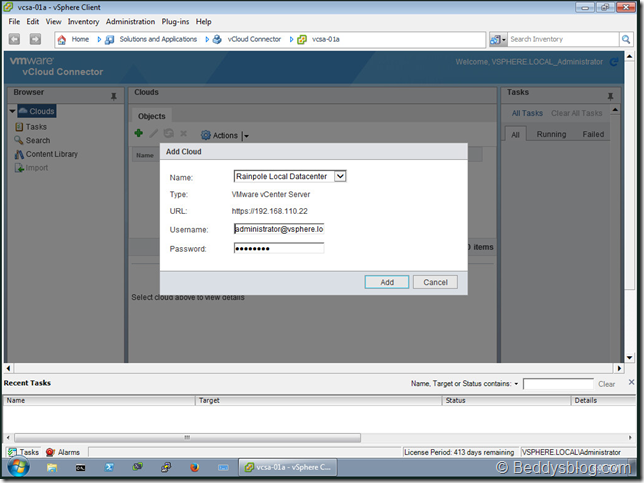 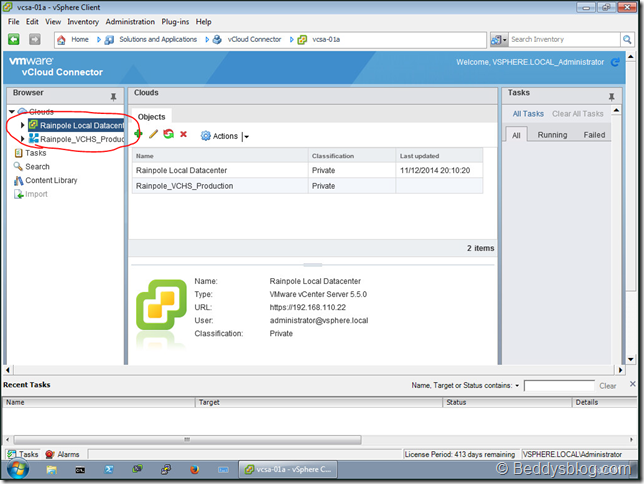 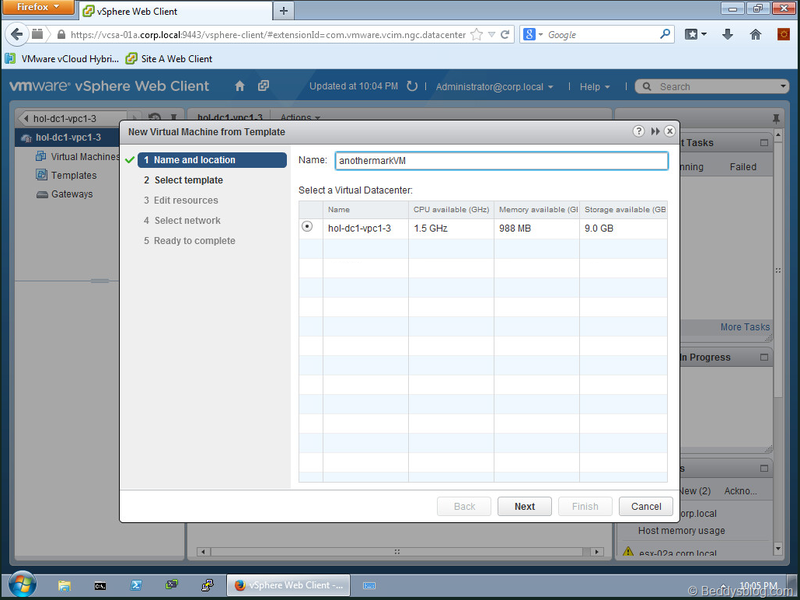 Now that we know how to navigate lets deploy a new VM using the vCloud Air Web Plug-in! 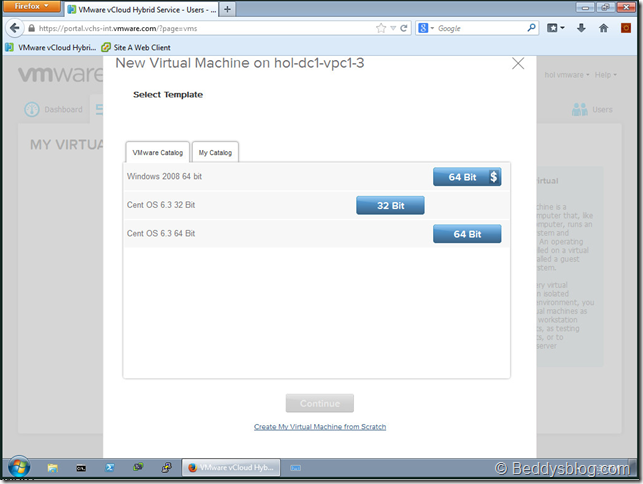 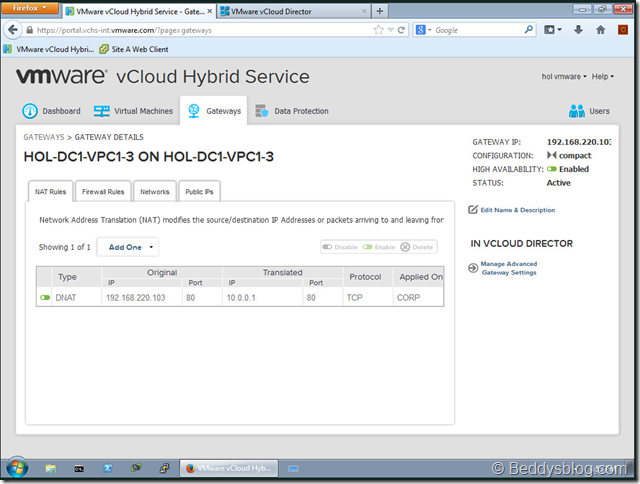 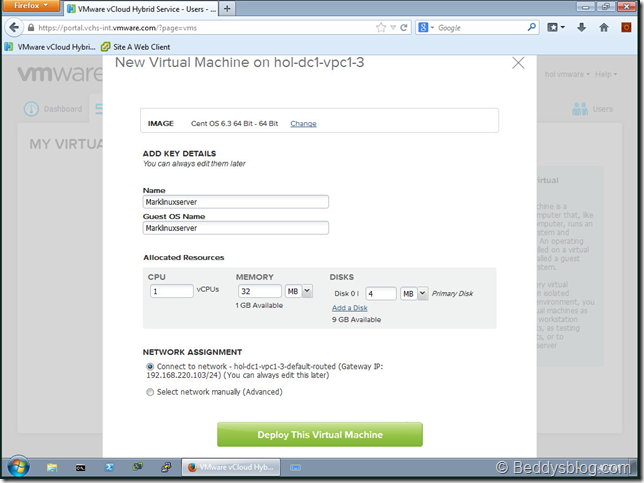 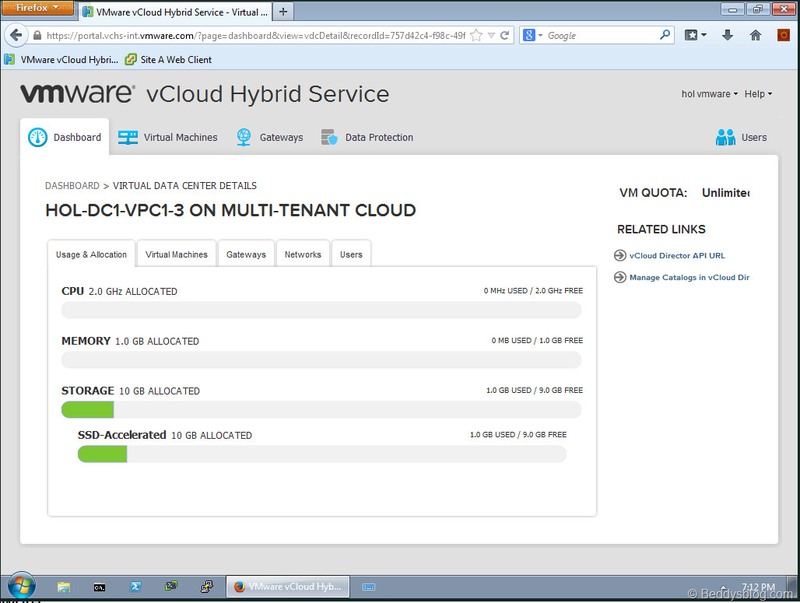 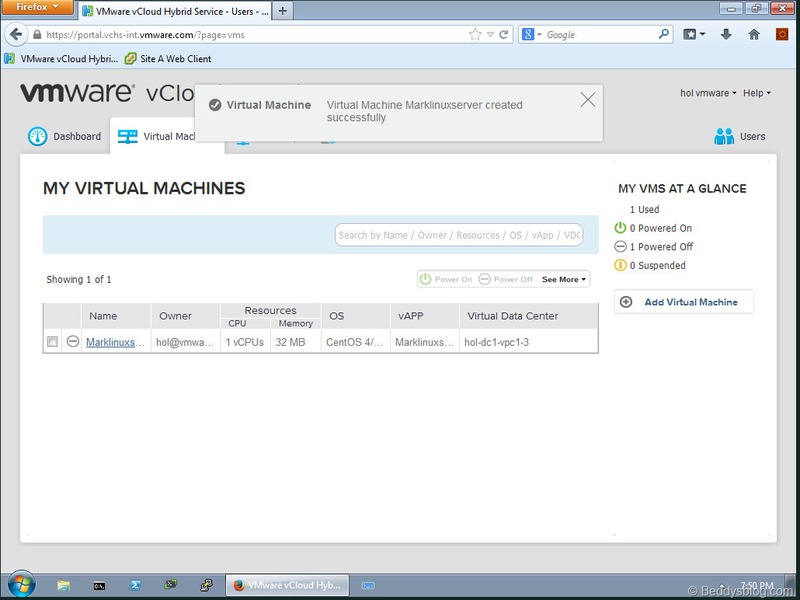 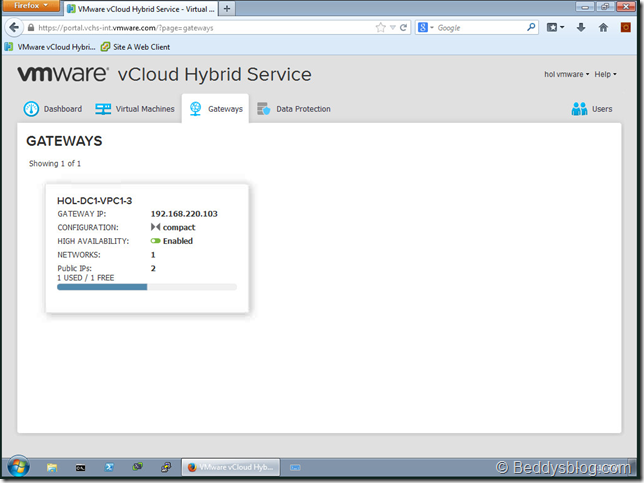 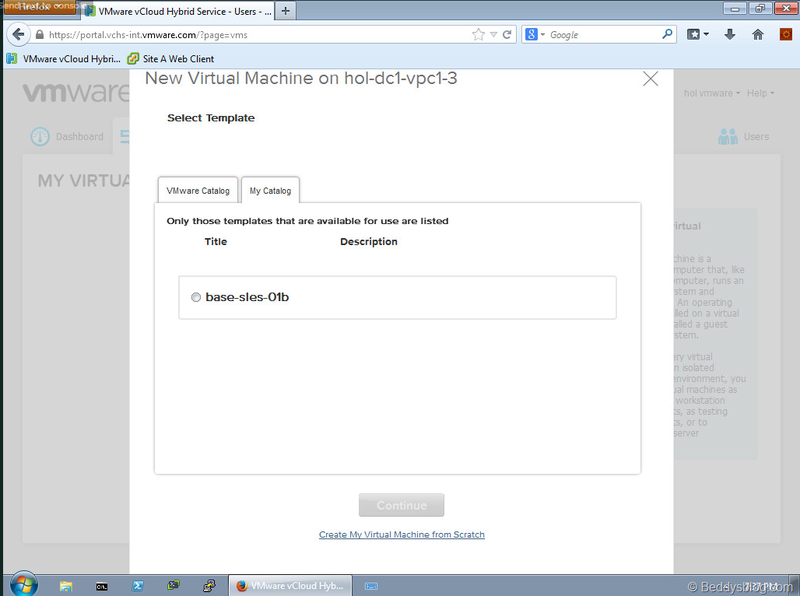 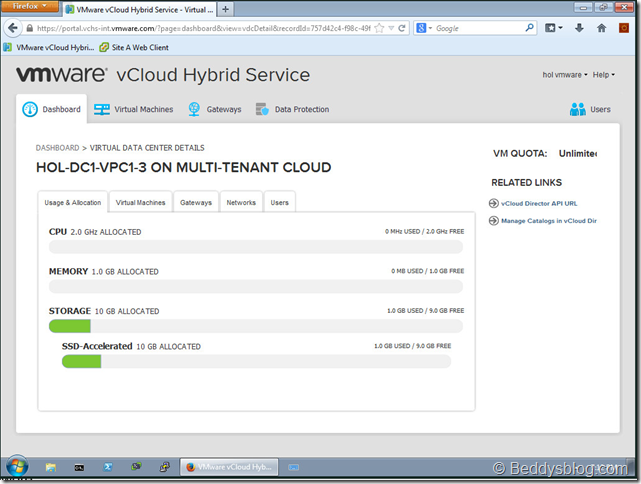 Your virtual machine is now deployed on vCloud Air! 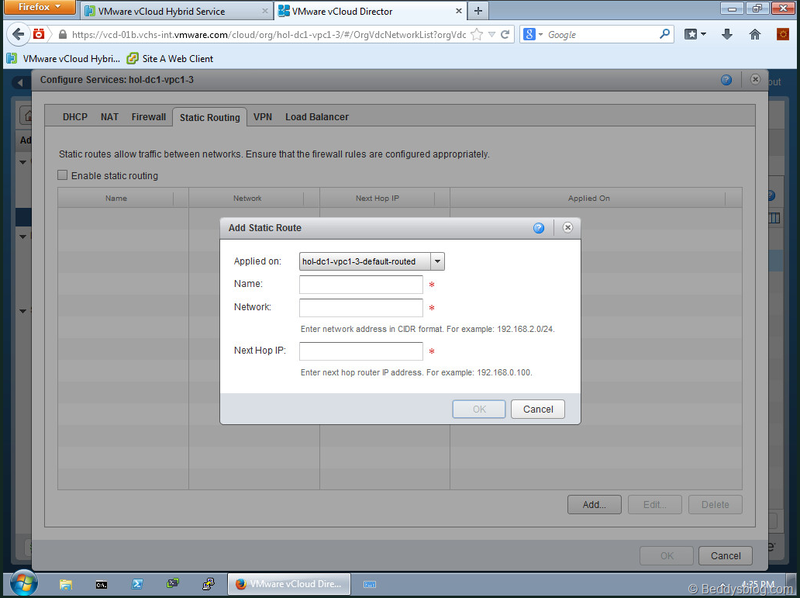 Let’s run through the networking side of vCloud Air in a bit more detail. 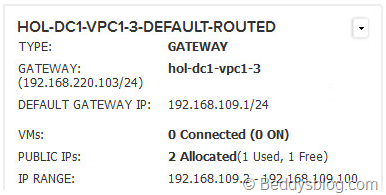 Here I have logged into the vCloud air web page and gone to my VDC (Virtual Datacenter) and looking at the Gateway tab of my network and shows it has 1 IP used and 1 free. 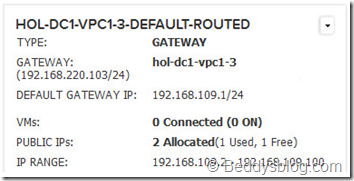 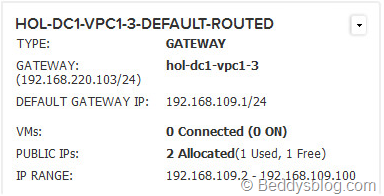 There are two default networks created when a new Virtual Datacenter is created. 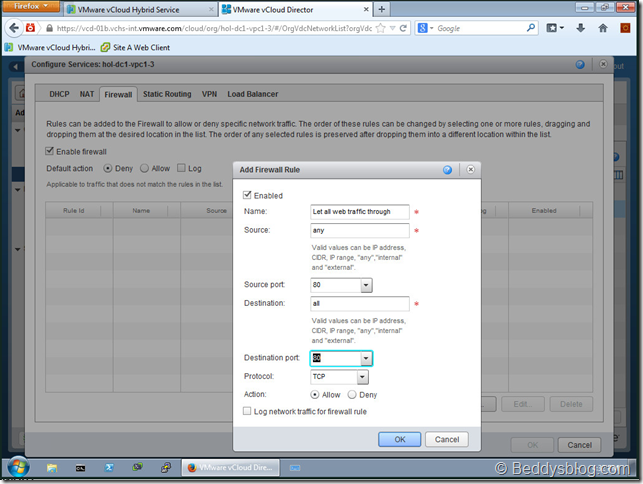 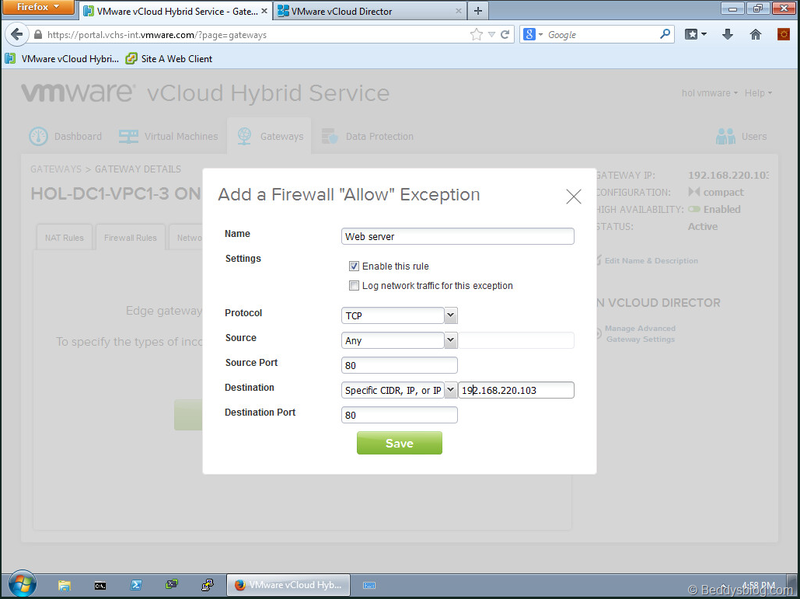 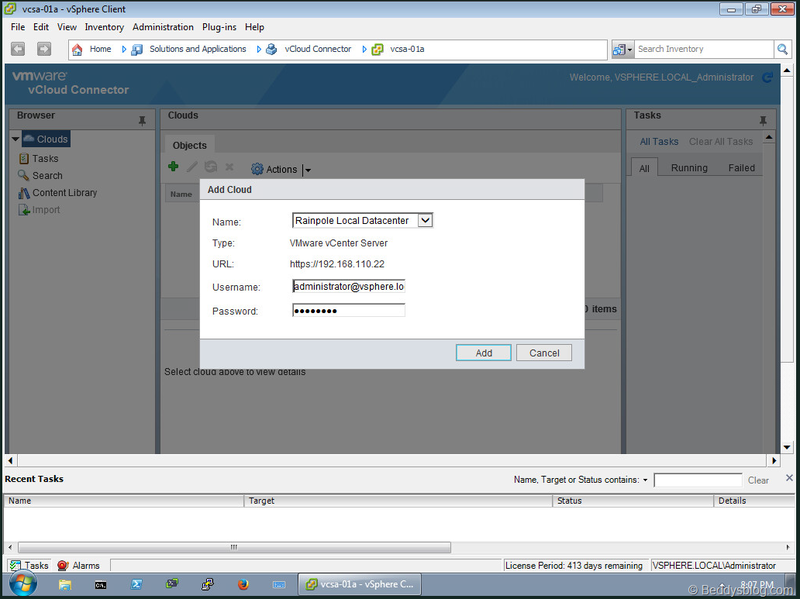 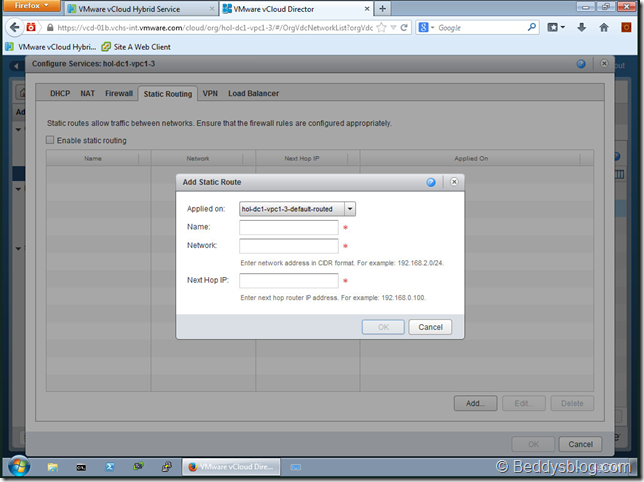 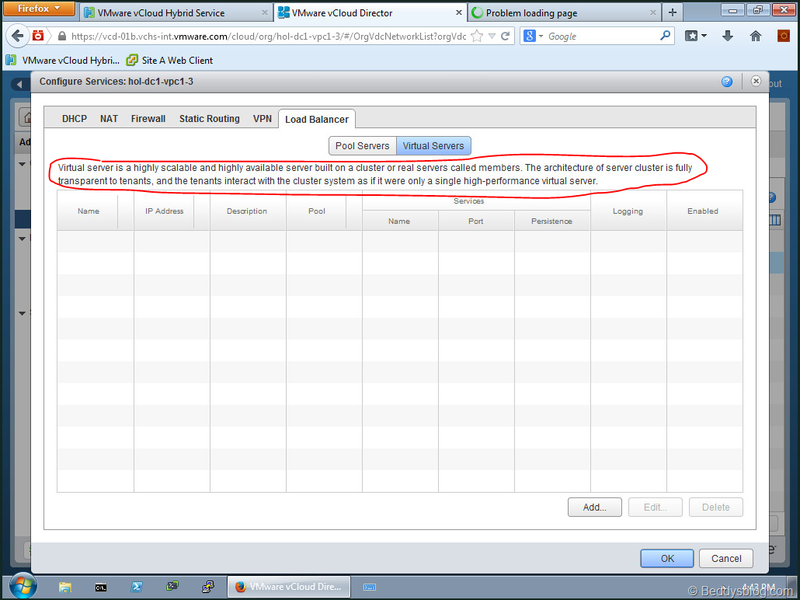 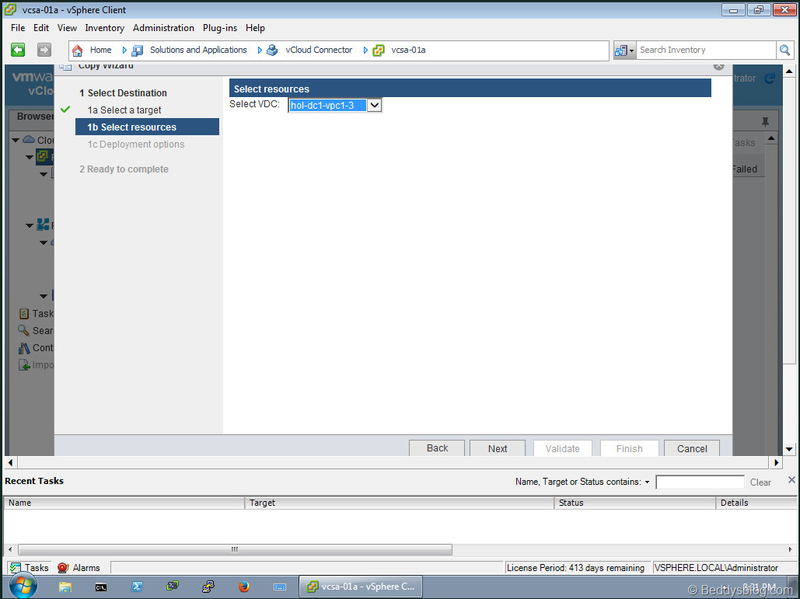 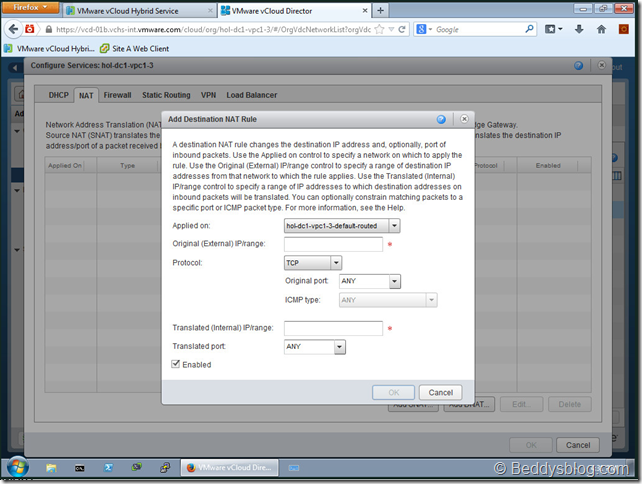 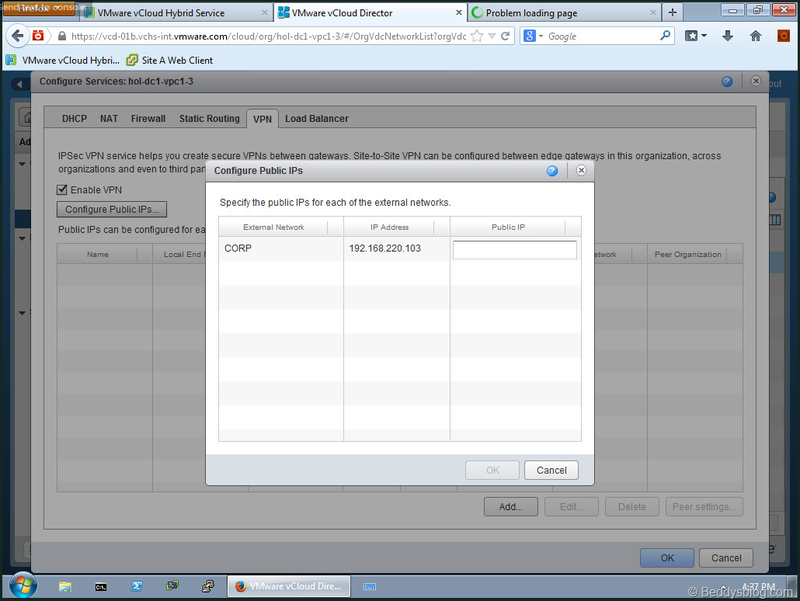 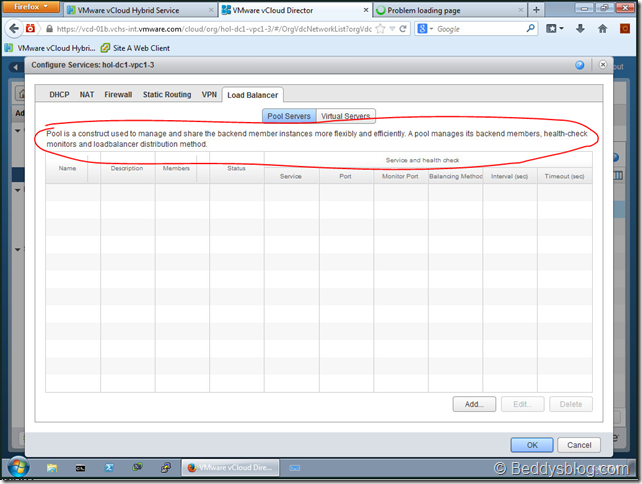 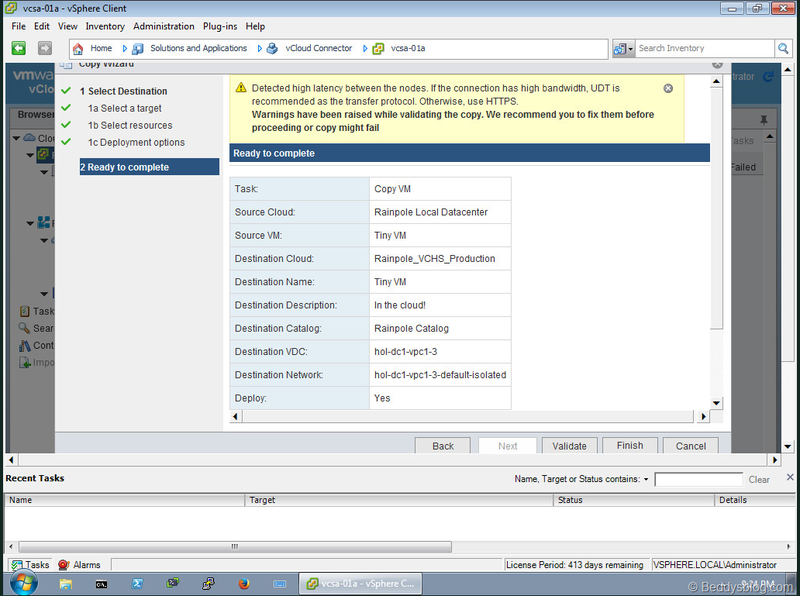 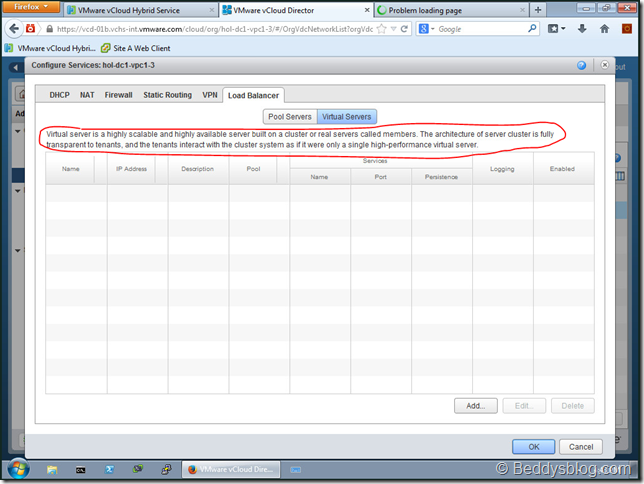 Now let’s see what we can configure network wise through vCloud Director. 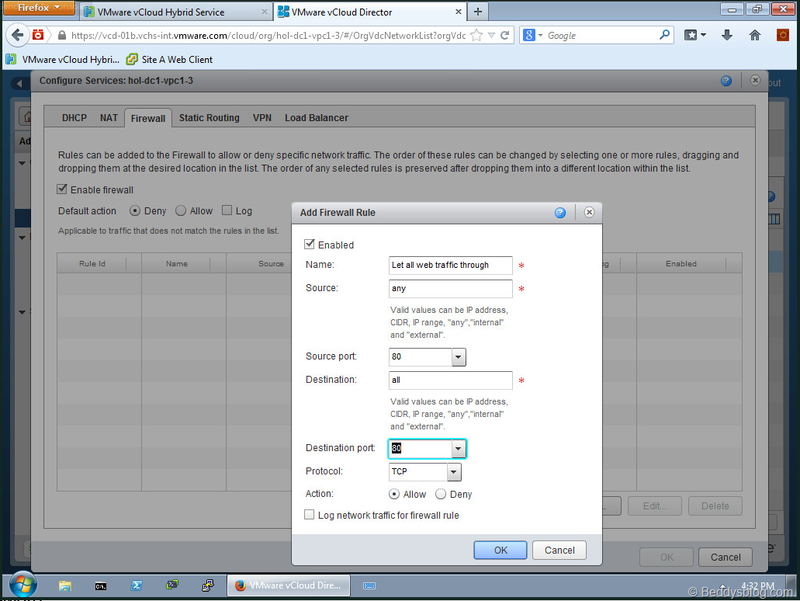 These will all be familiar features if you’ve used AWS before. 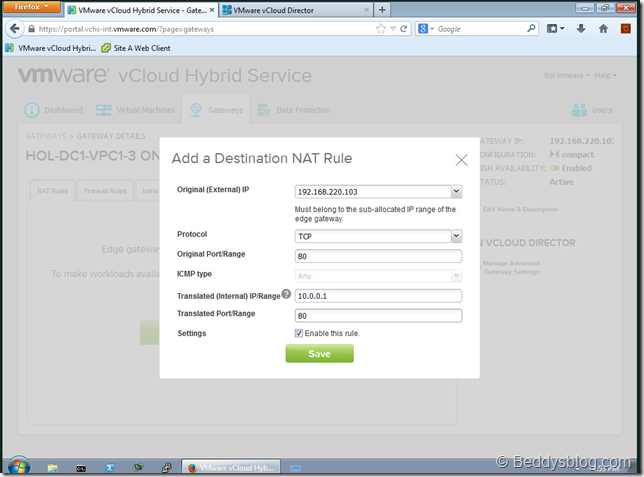 VPN allows you to create a secure VPN back to your own corporation and internal network, It asks for a Public IP, unlike AWS which assigns you one automatically when you setup VPN, it looks like you have to go arrange a public IP yourself and add it here, possible VMware will assign one for you. 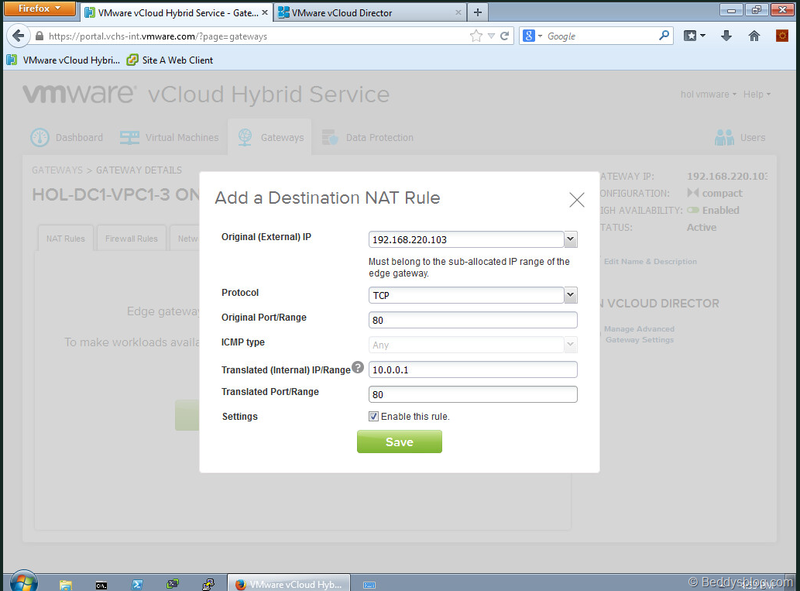 More about NAT’ing as it’s how we get communication into the environment from the outside (the internet). 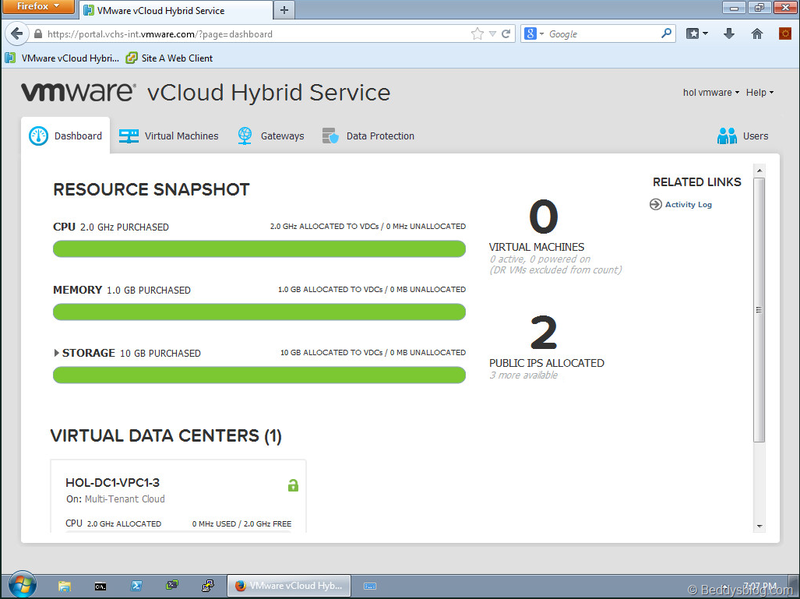 So I’ve had very little exposure to Microsoft’s Azure cloud platform but quite a bit of exposure to AWS. 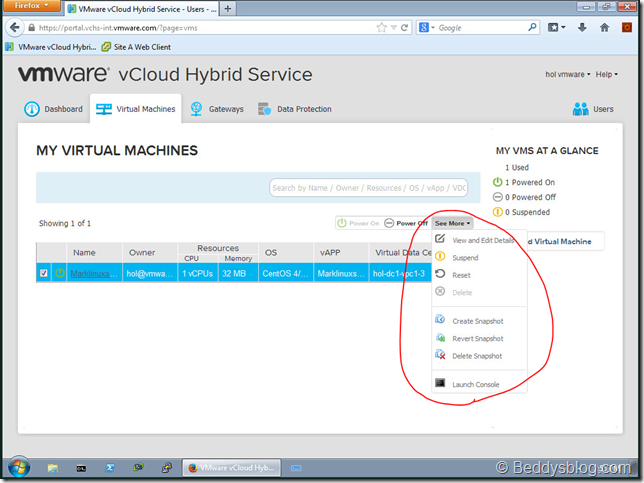 From my perspective VMware’s vCloud Air supplies a lot of the functionality basics, the items you really need that AWS provides, but it does it in a way that is much more familiar to a vSphere administrator would feel comfortable with. 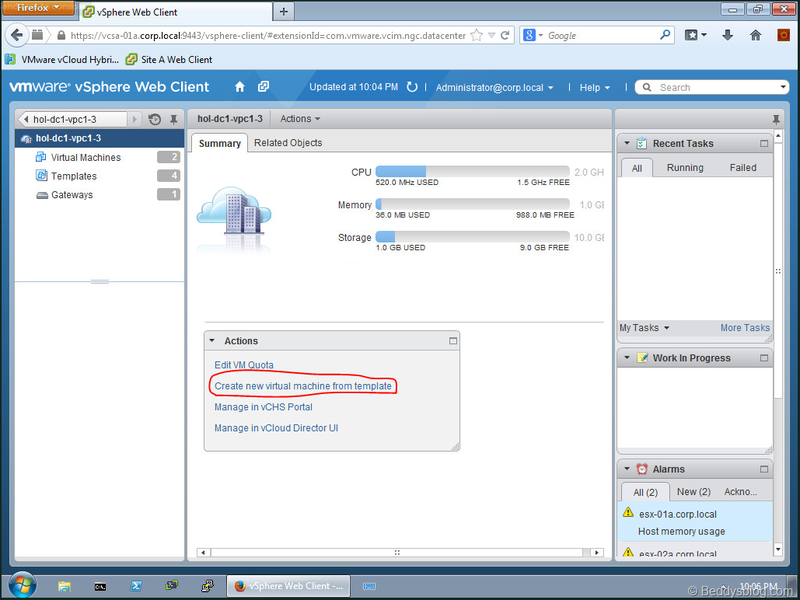 And let’s face it, there is only a small amount of infrastructure guys in the world who don’t know the ins and outs of how to administer a vSphere environment nowadays. 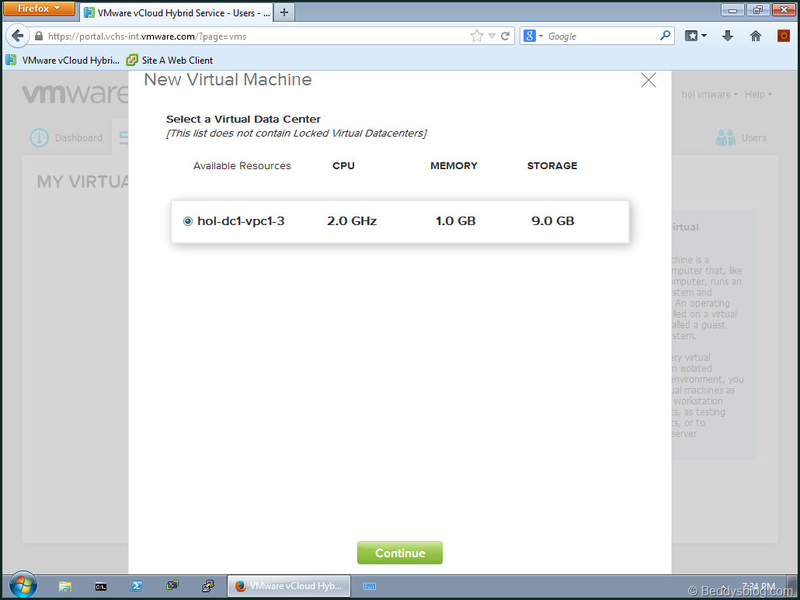 I haven’t compared pricing as I’m sure this changes fairly often between the 3 big players but as of late 2014 VMware are currently boasting they are cheaper on CPU compute and storage compared to AWS’s EBS General Purpose (SSD) storage but I suggest you read between the lines and make your own cost comparisons. 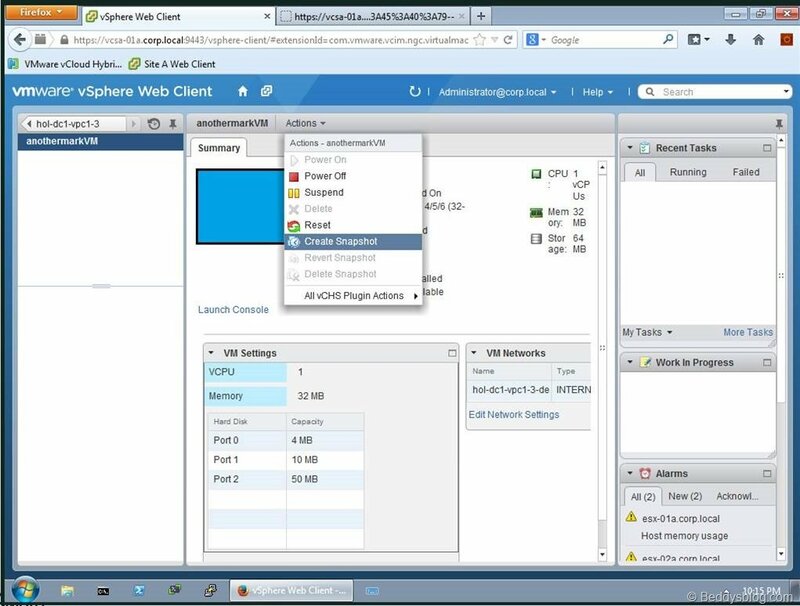 I believe VMware vCloud Air’s main advantage over the other players its level of familiarity from the organisations existing Architects and Engineers with their knowledge from their existing private vSphere cloud into the public VMware vCloud Air. More familiarity equals less things to learn, equals less risk, which is a major decision factor of enterprise platform choice for any organisation. 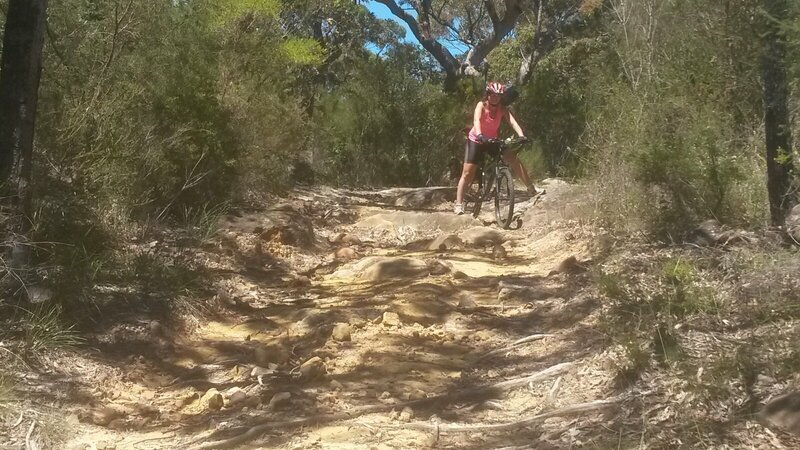 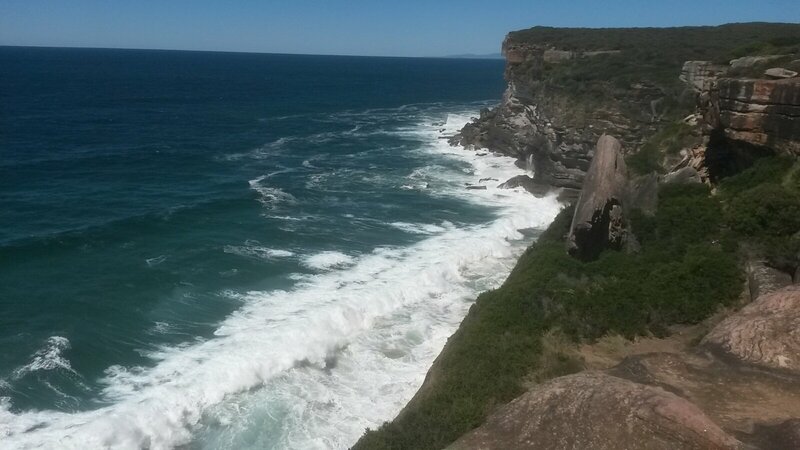 Today Sanna and I went for a short 20km mountain bike ride in the Royal National Park. 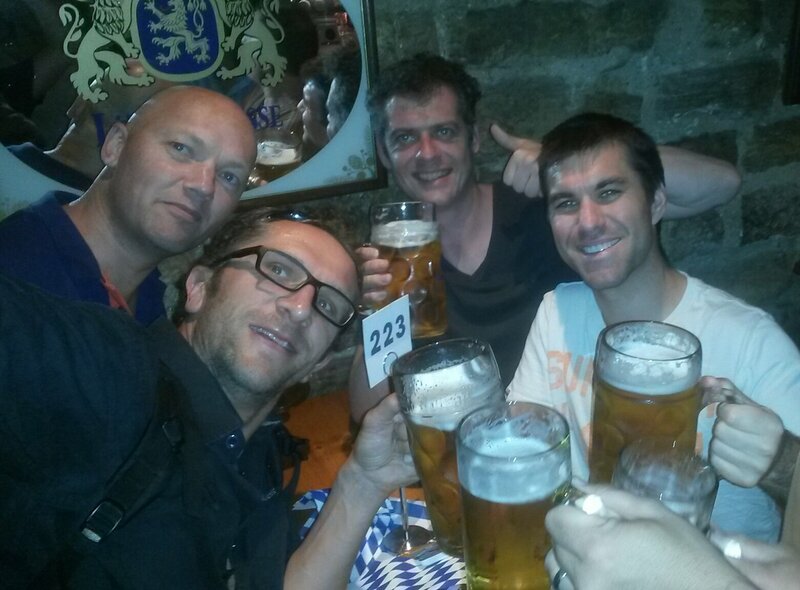 We started fairly early buy it started getting pretty hot towards the end! 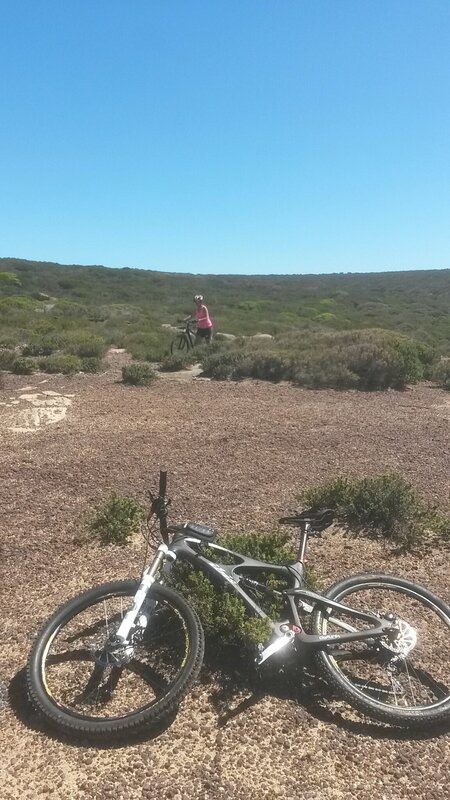 Sanna did goodnon her bike, im proud of how she tackles challanges. 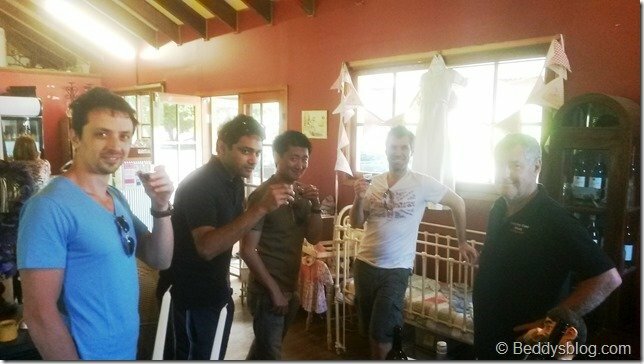 Had a nice Coke float afterwards, they call them spiders here. 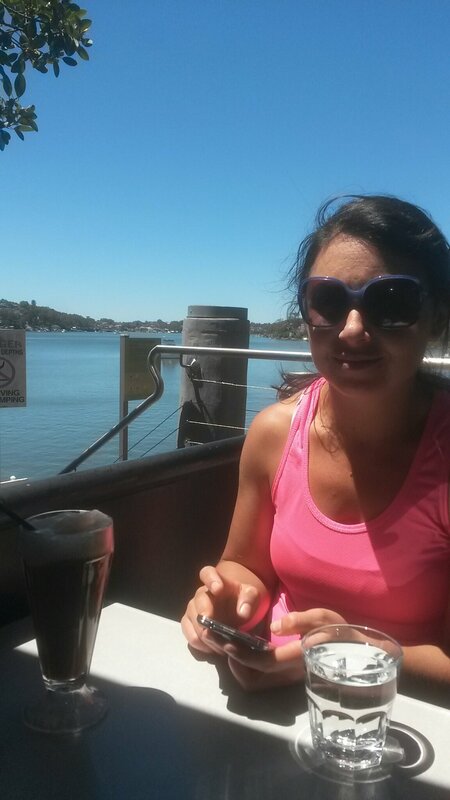 There are so many cafes in Sydney with nice views, we are so lucky.